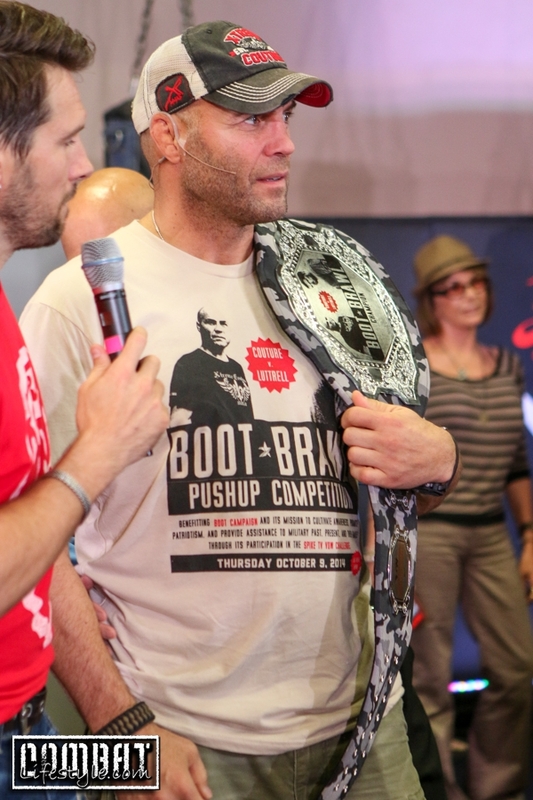 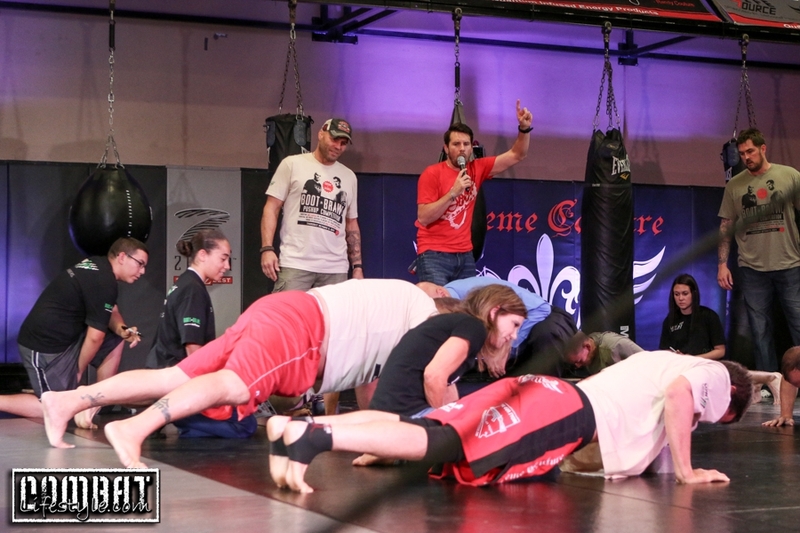 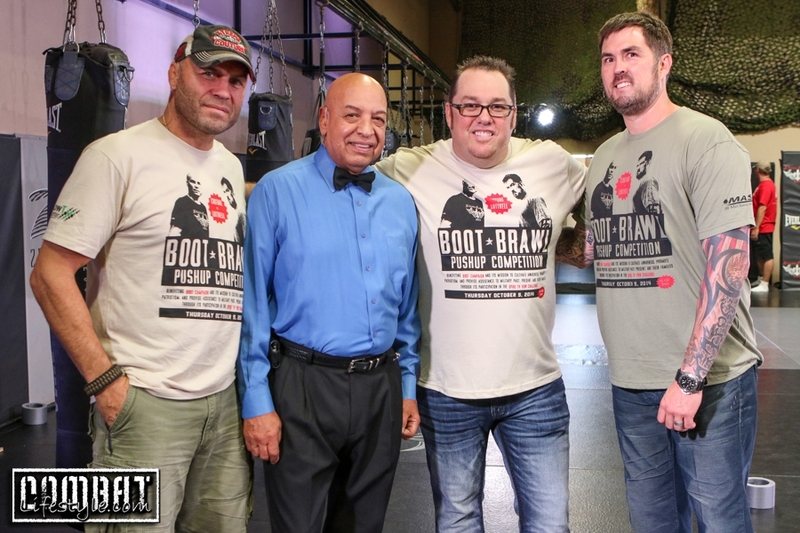 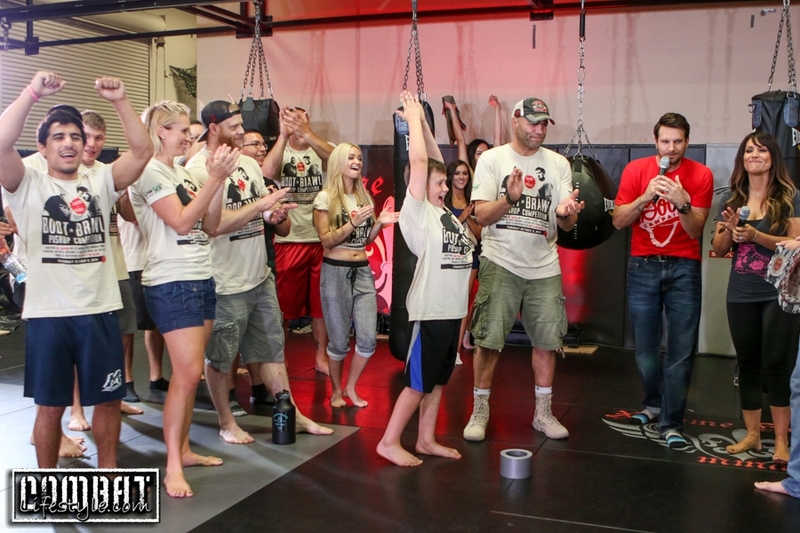 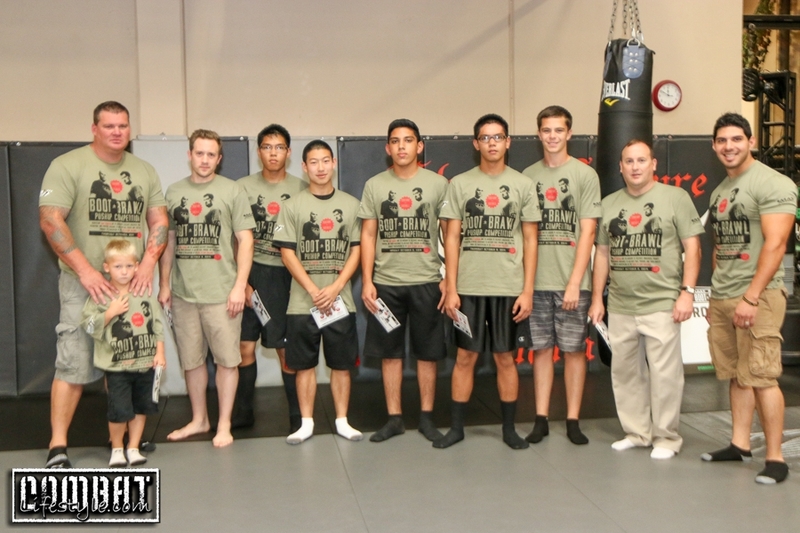 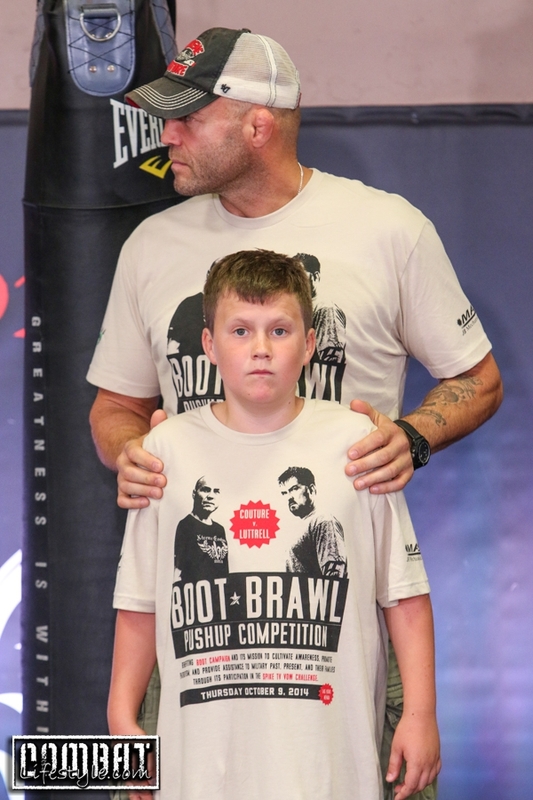 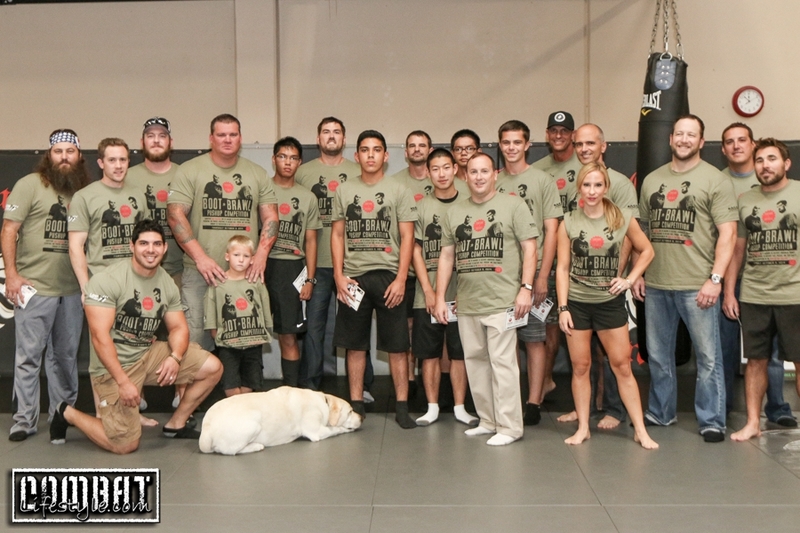 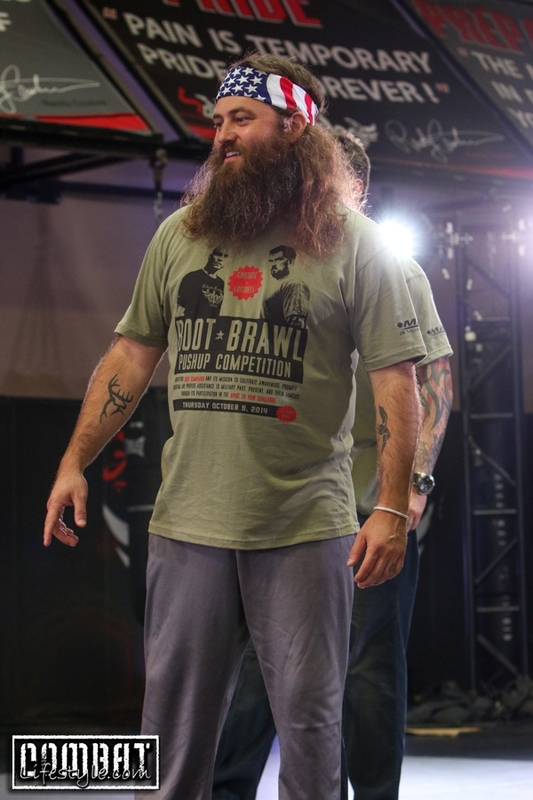 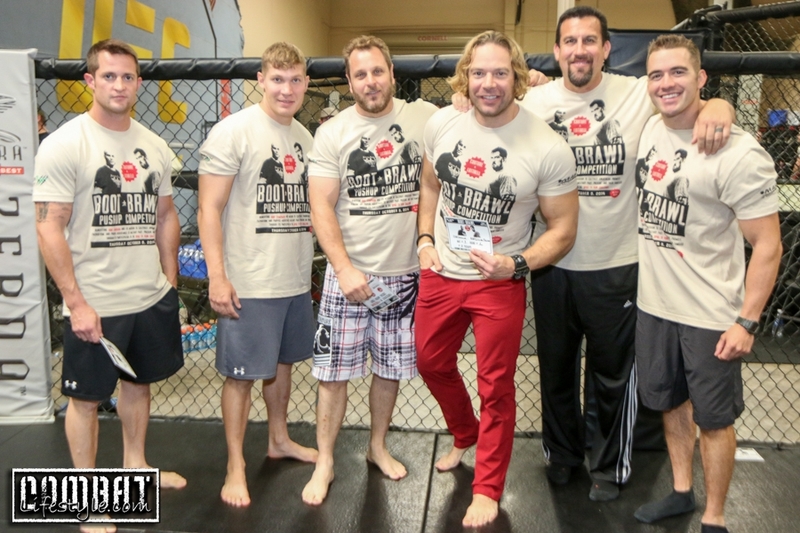 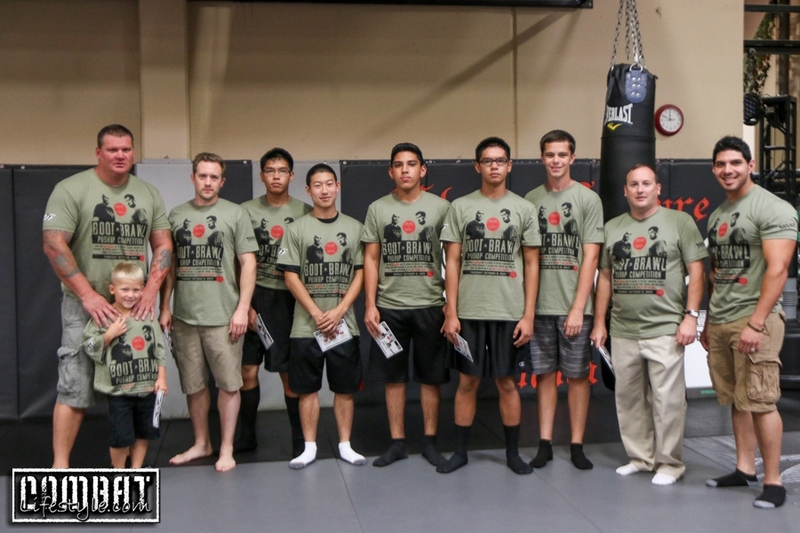 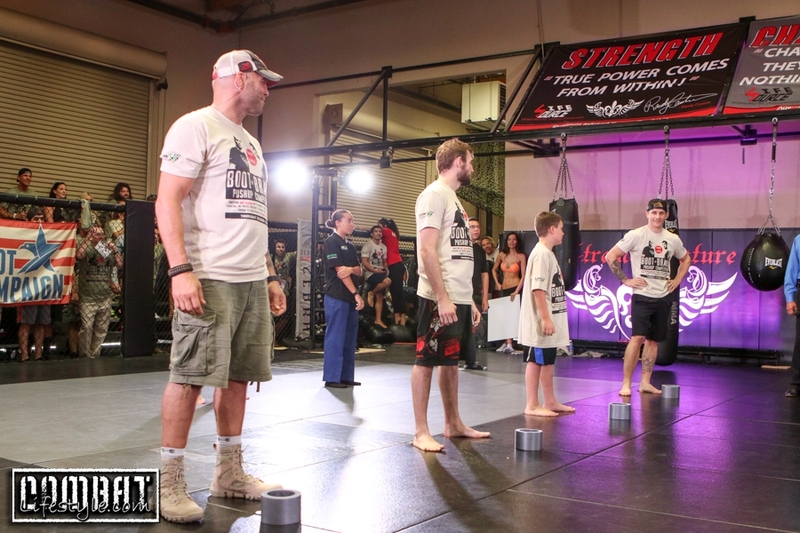 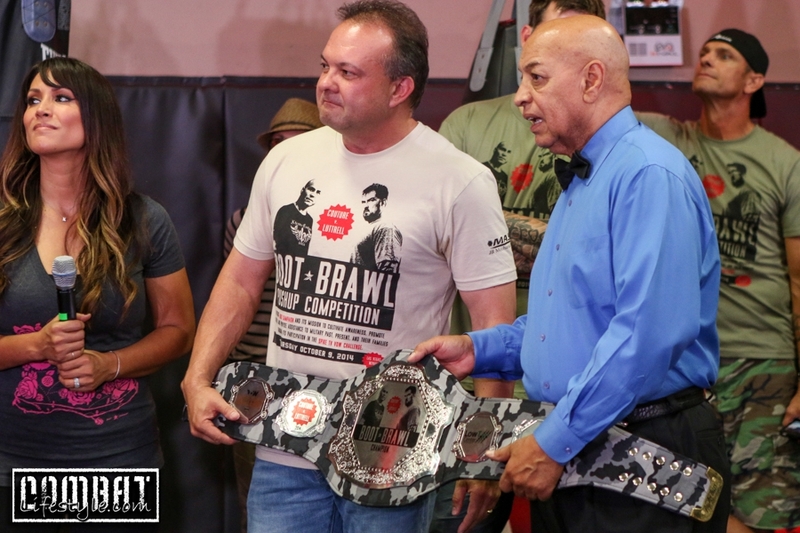 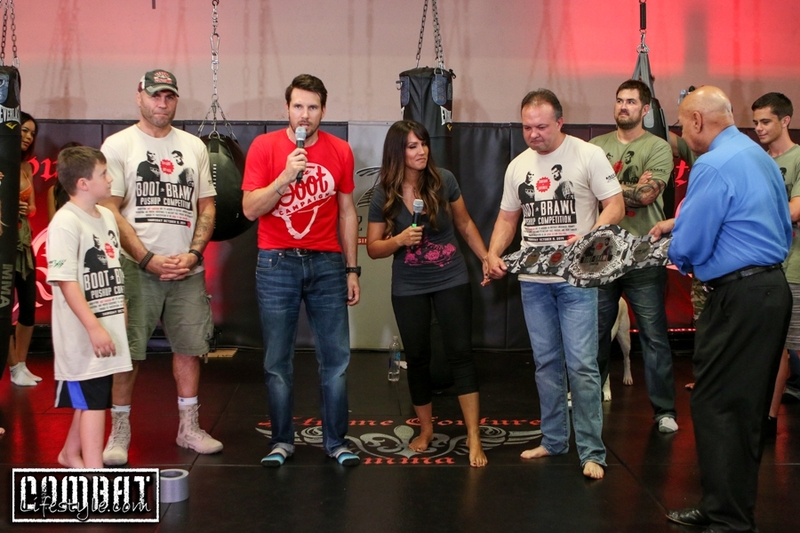 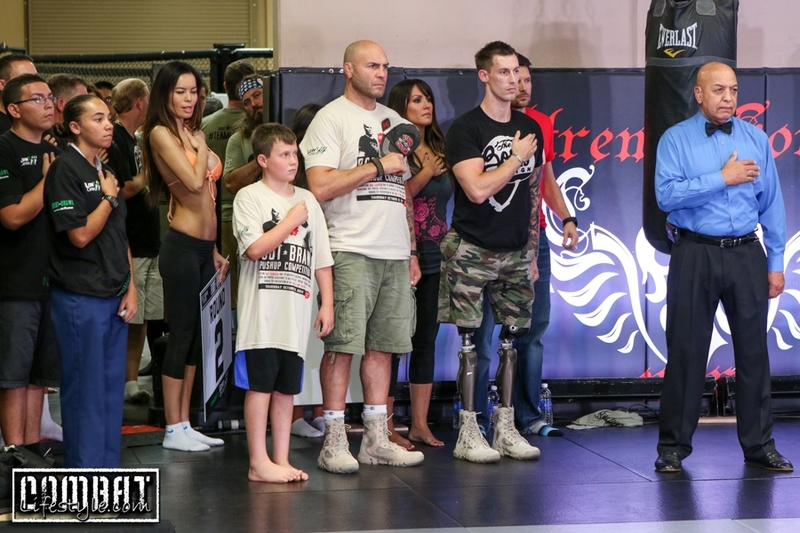 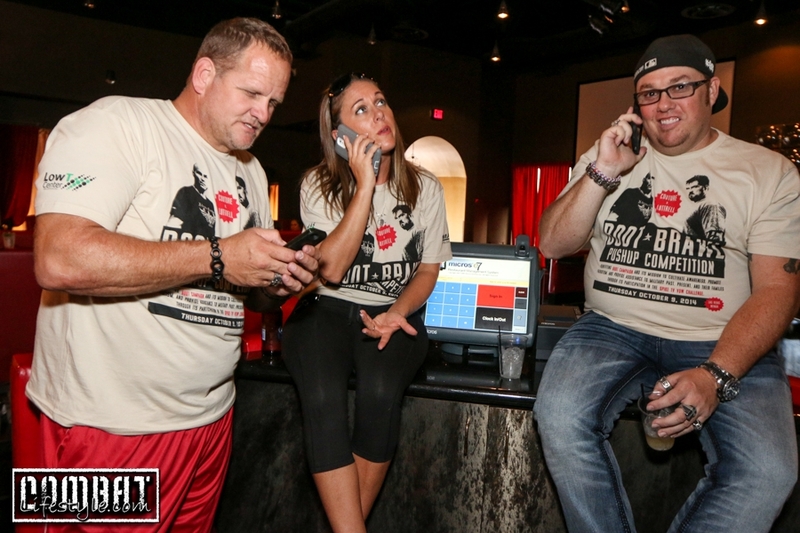 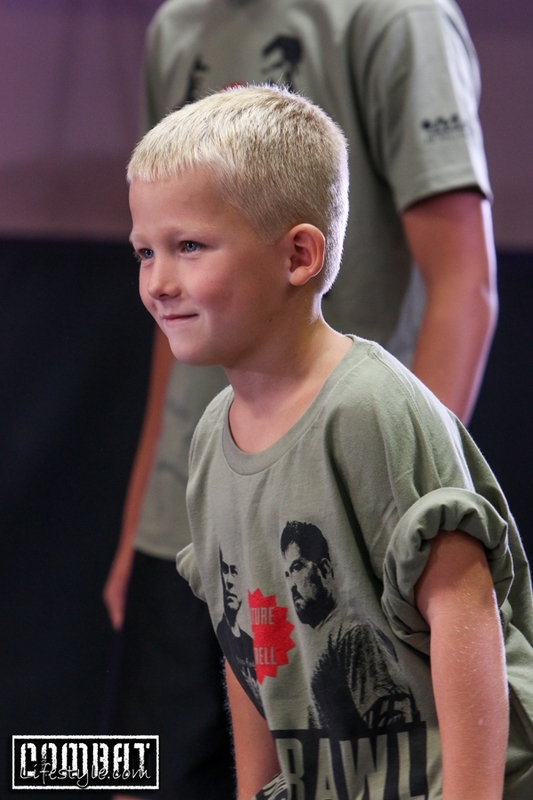 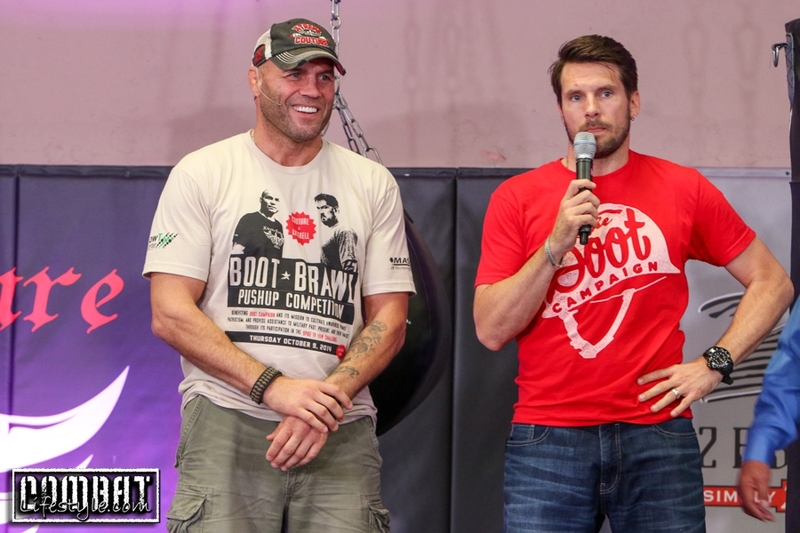 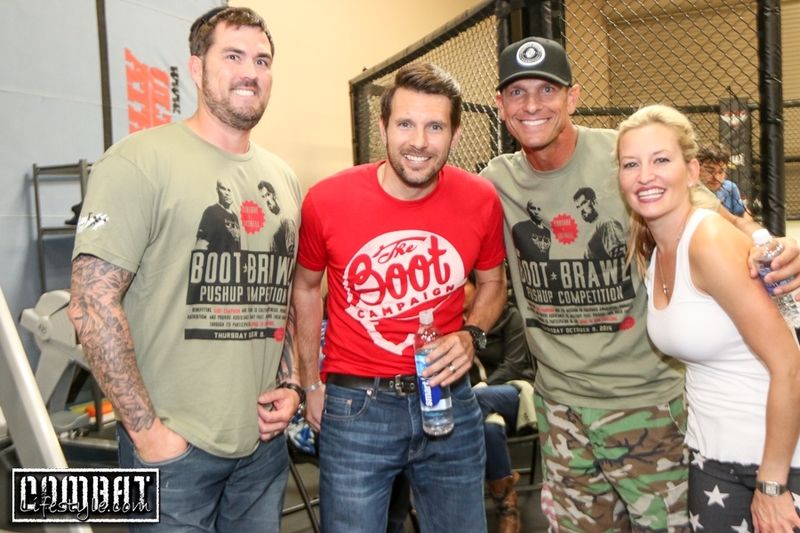 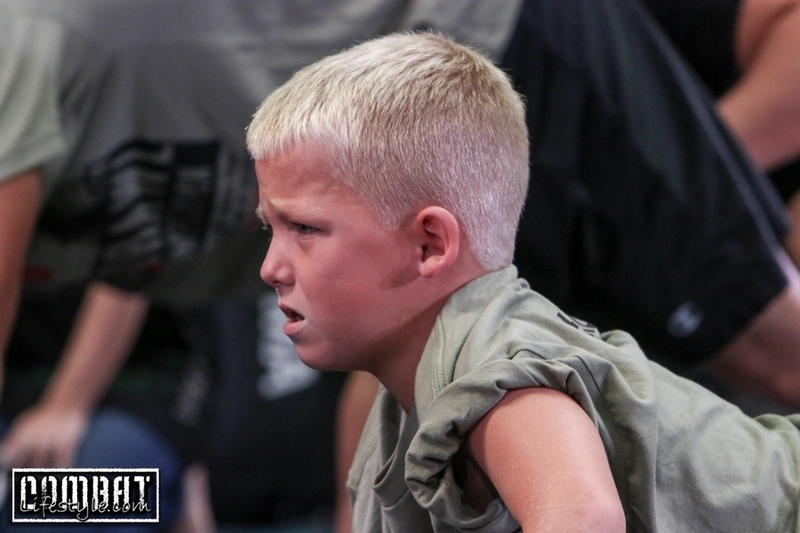 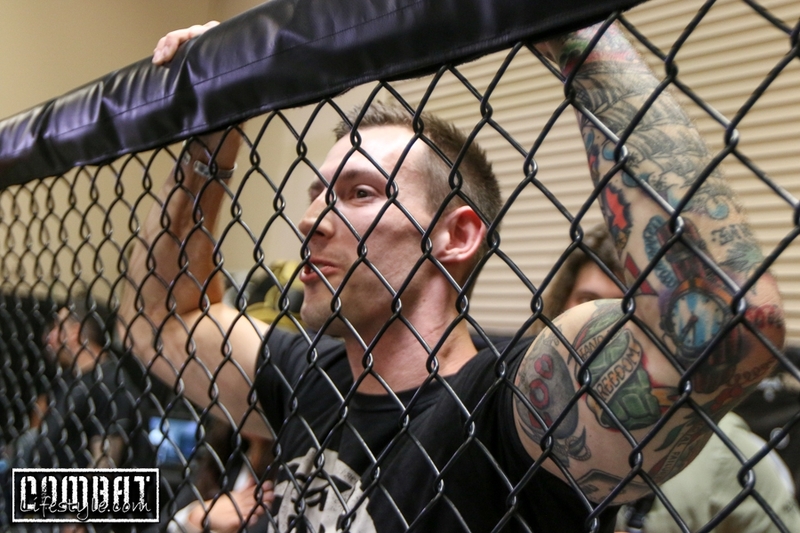 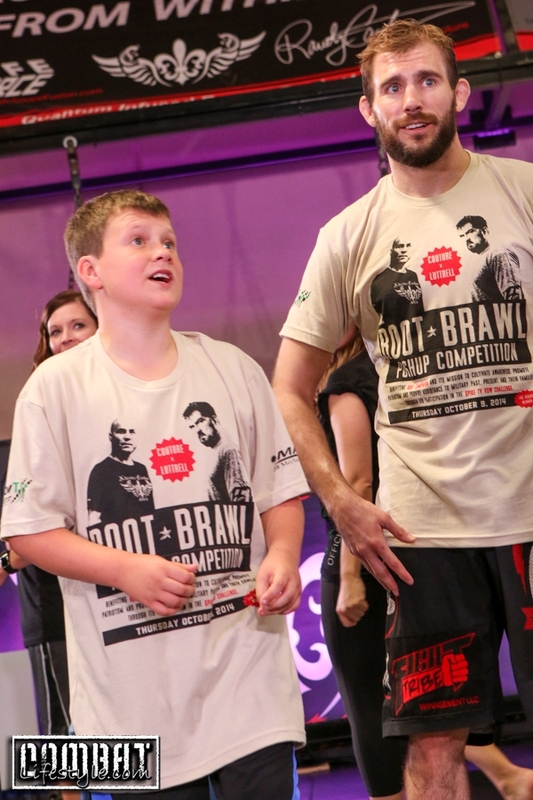 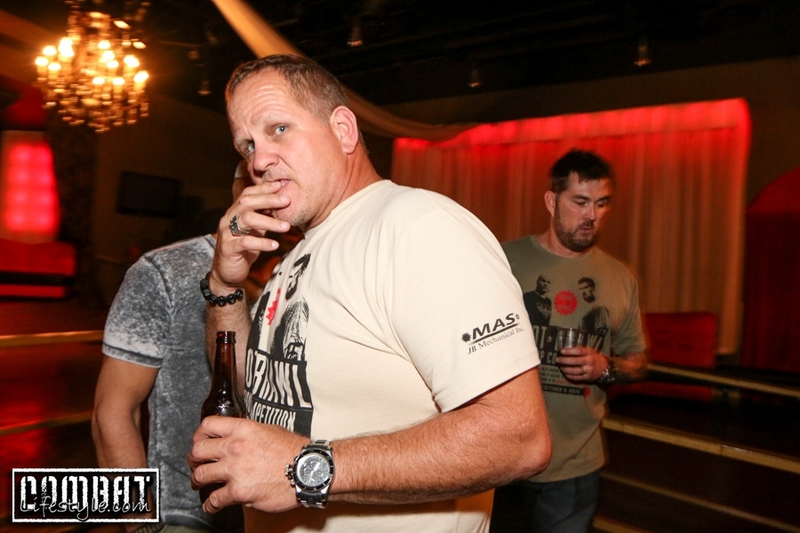 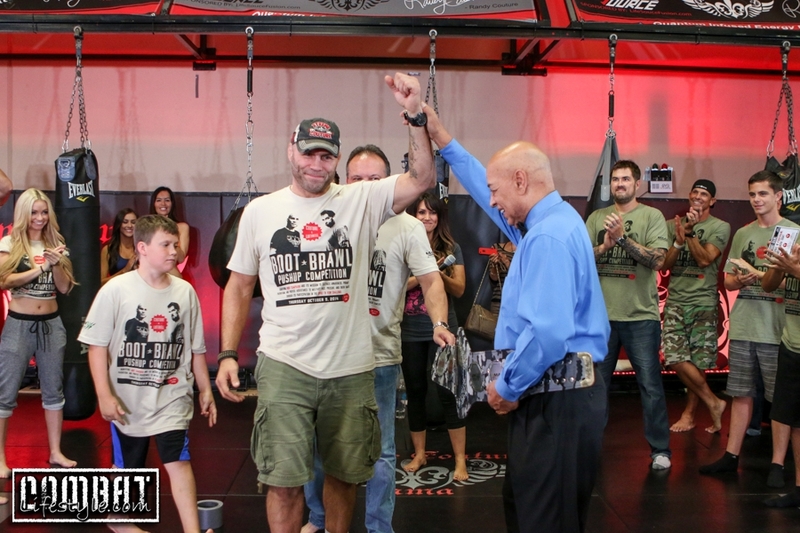 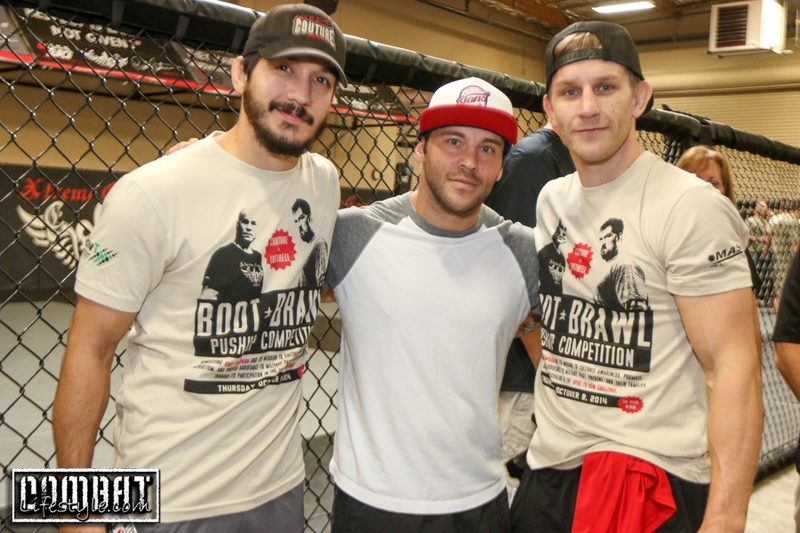 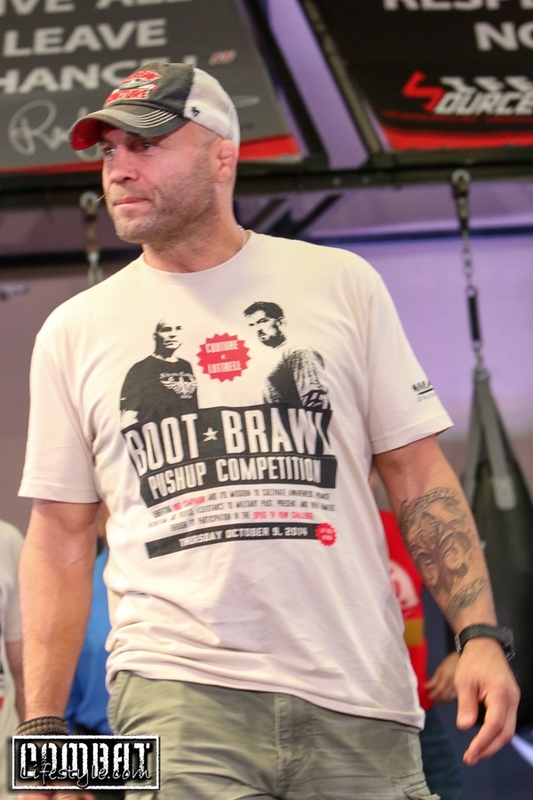 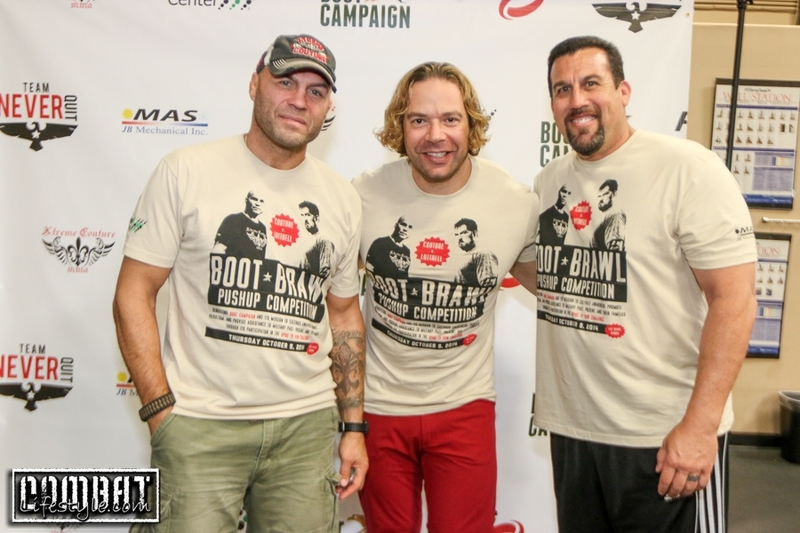 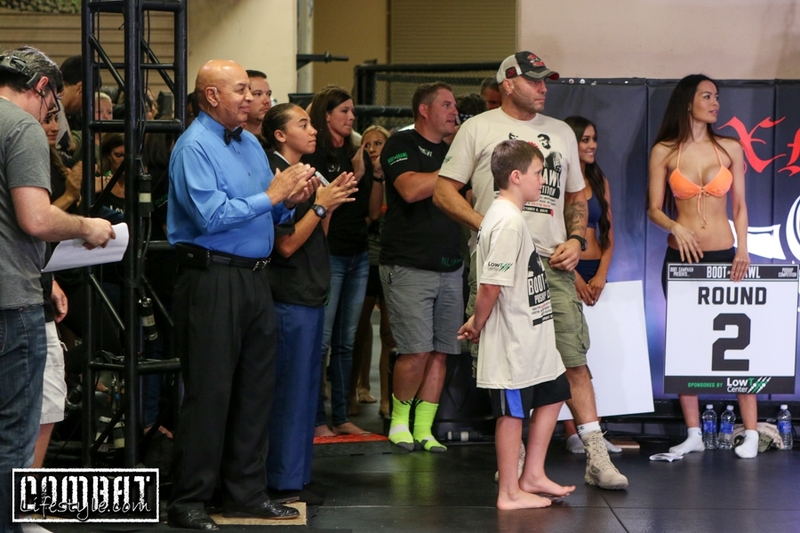 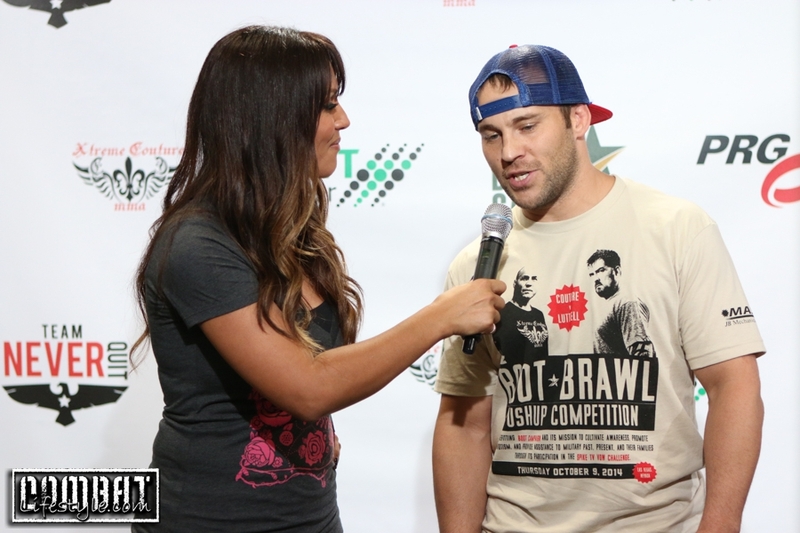 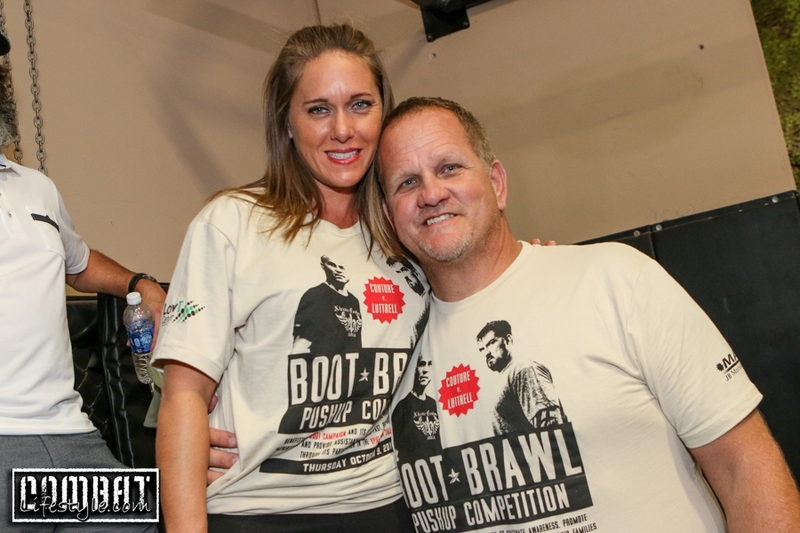 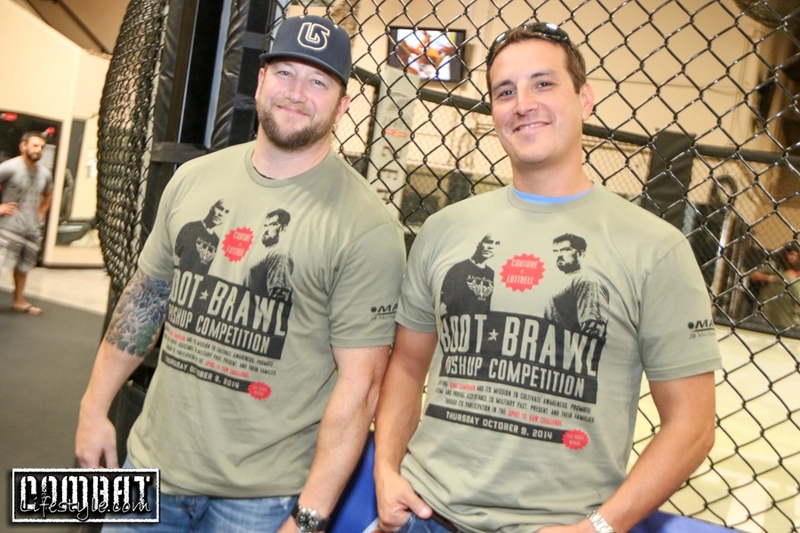 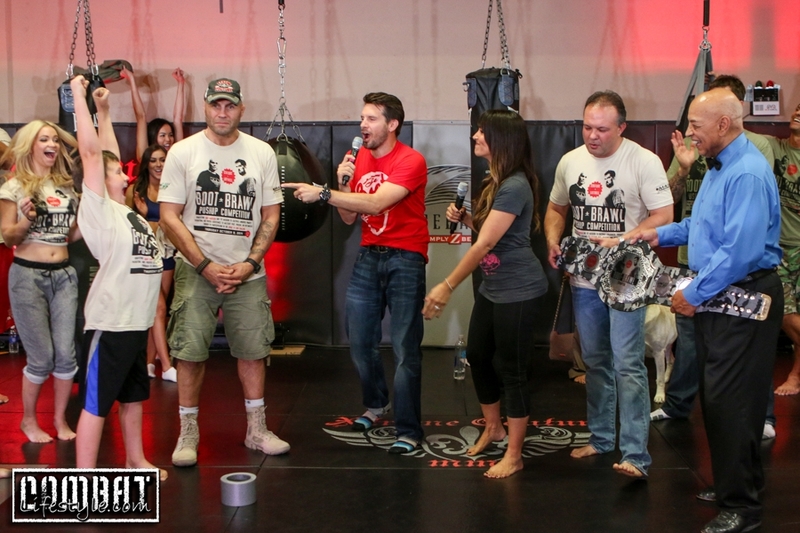 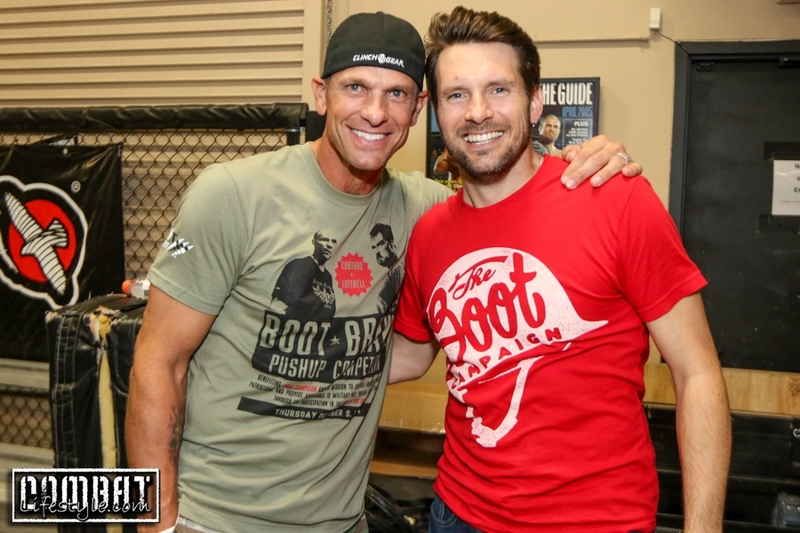 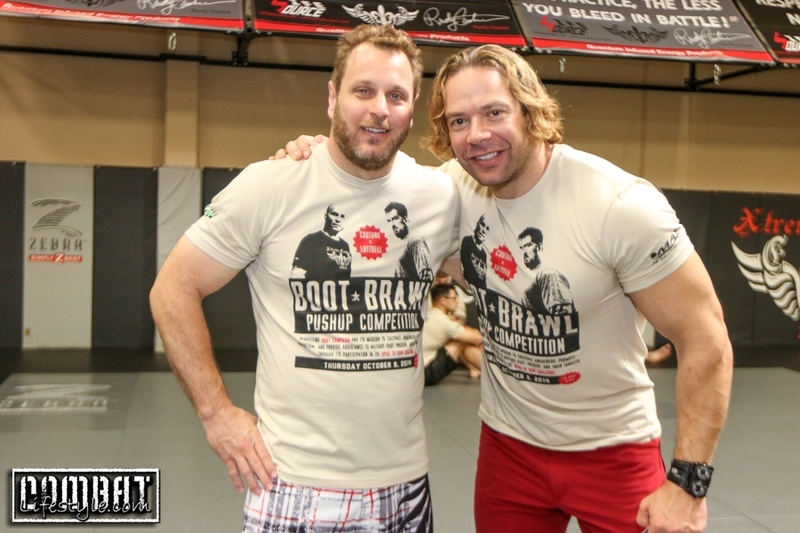 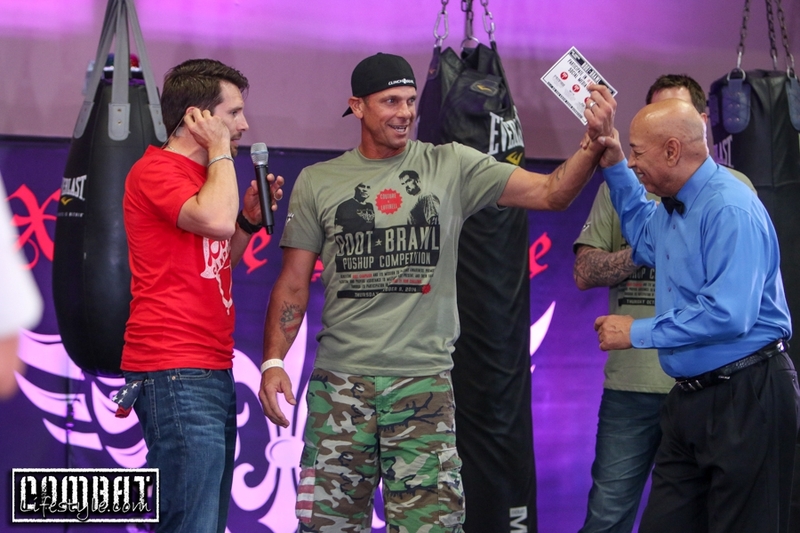 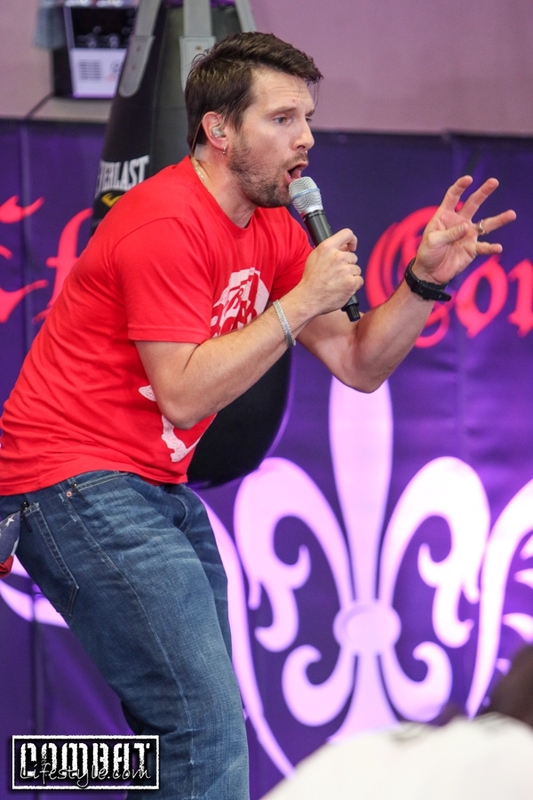 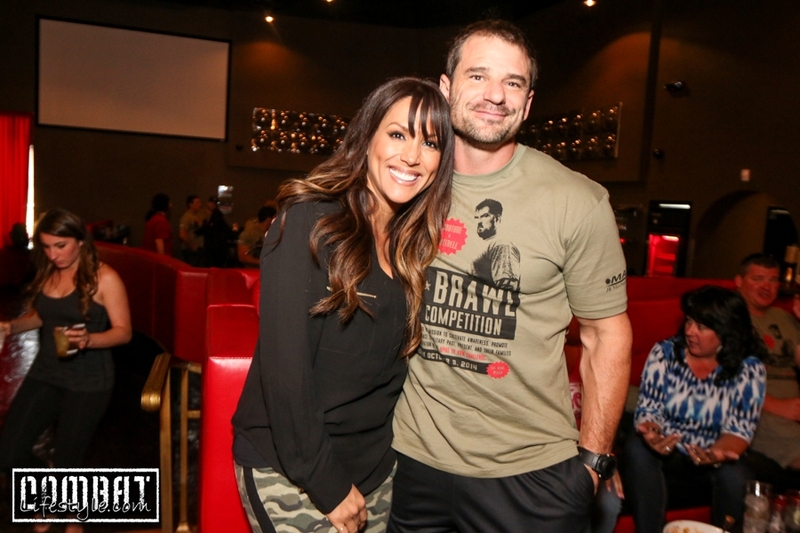 Home / Blog / Randy Couture Latest Boot Brawl Championship Win! 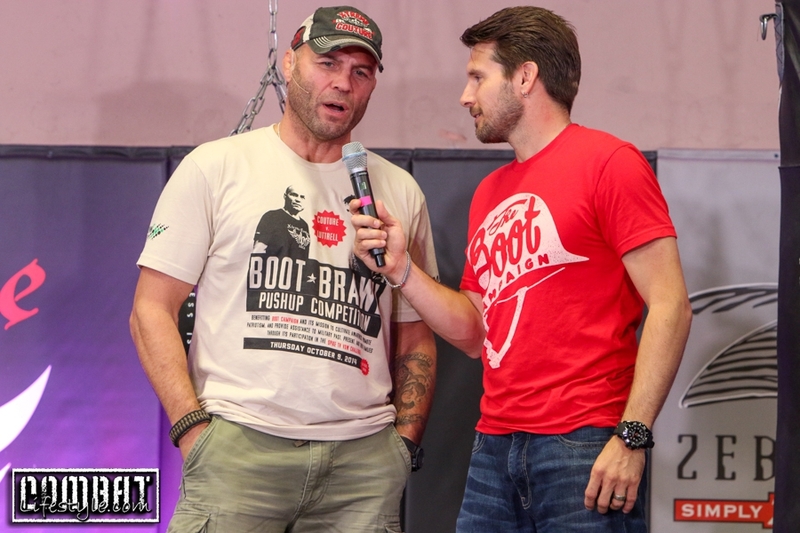 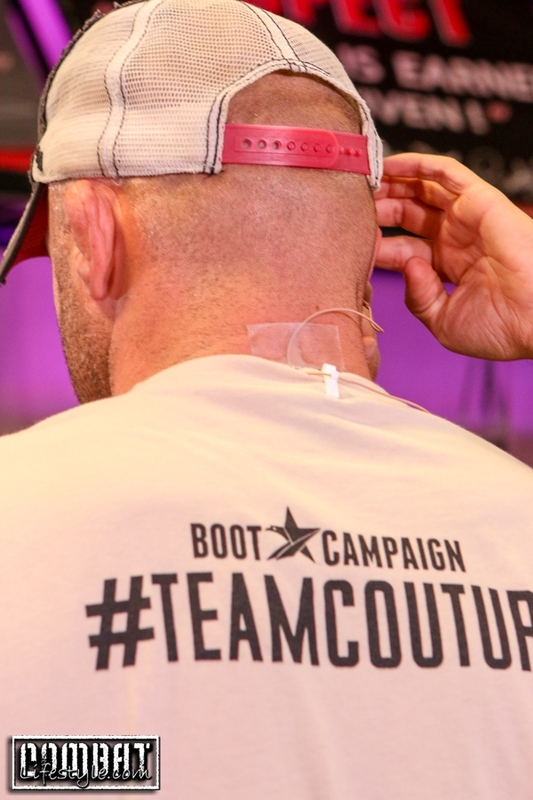 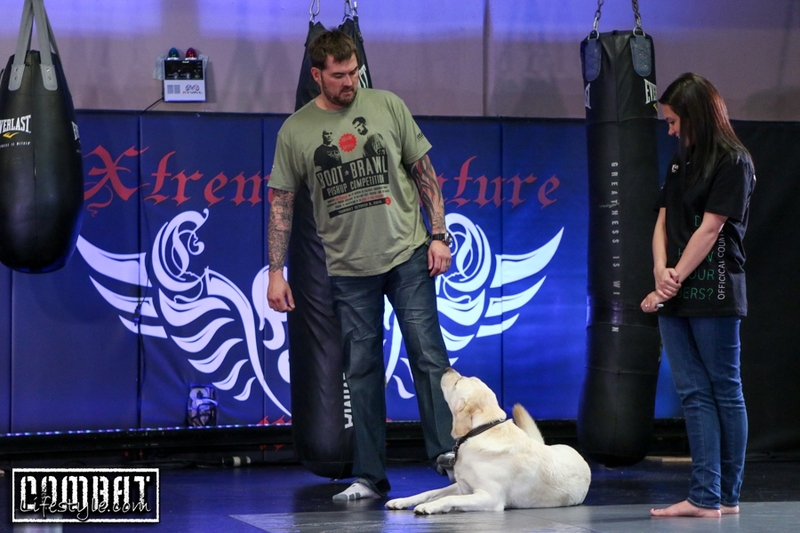 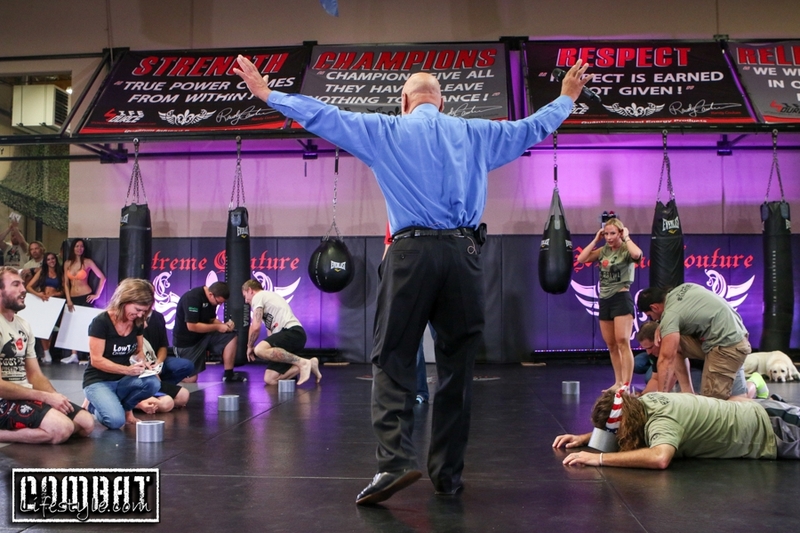 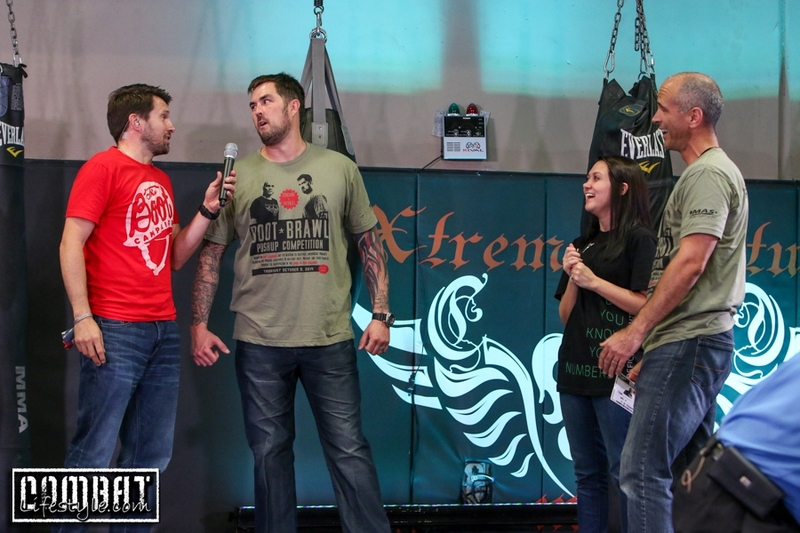 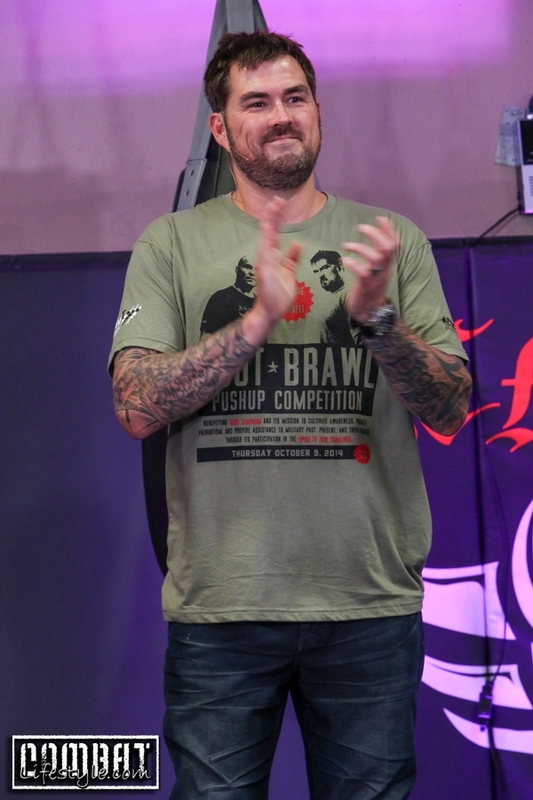 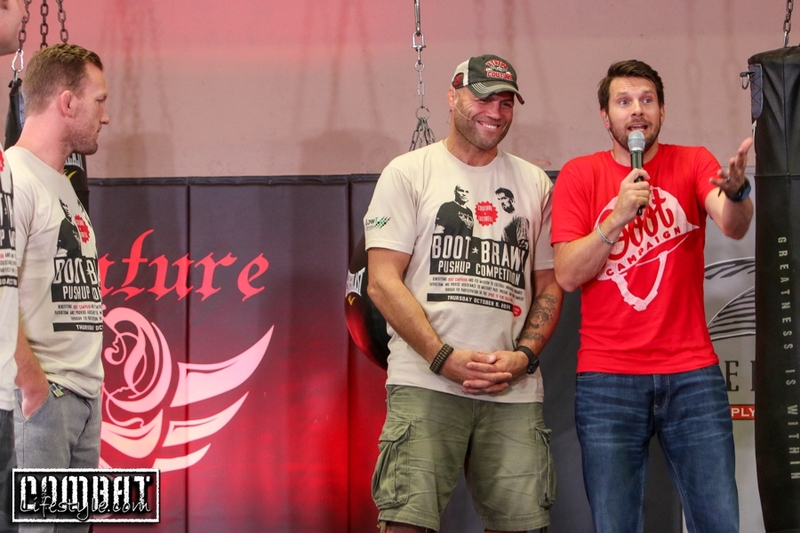 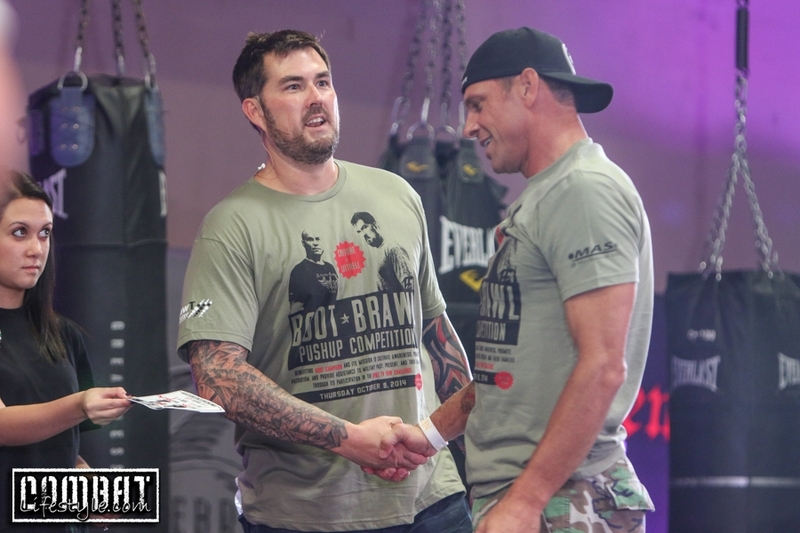 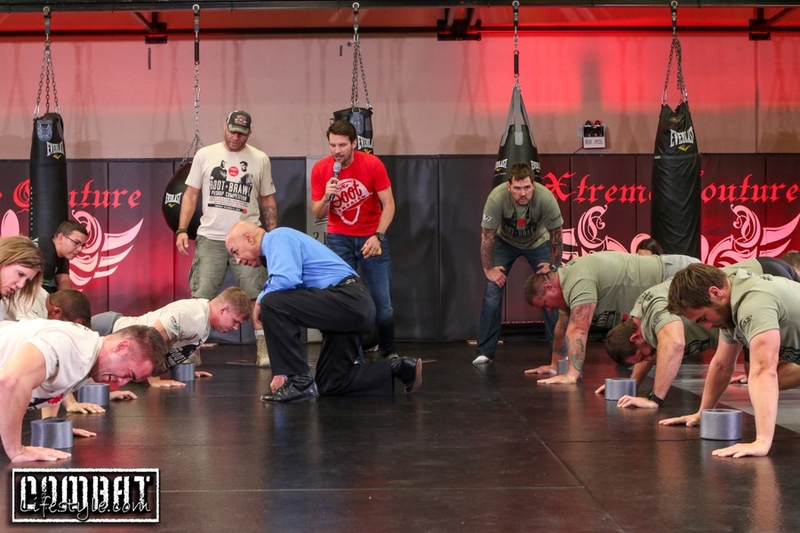 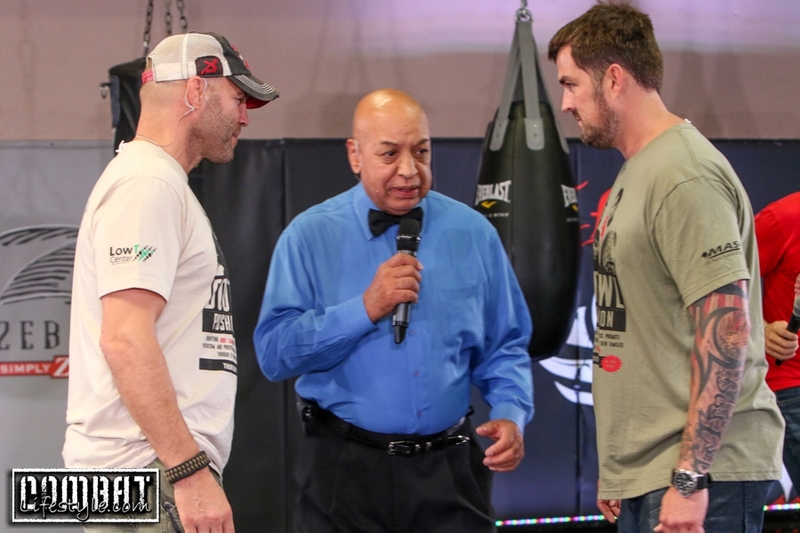 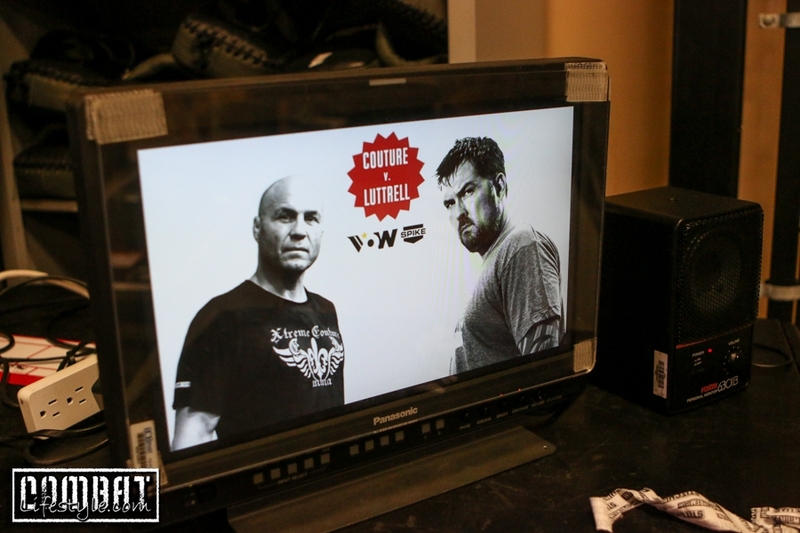 Randy Couture Latest Boot Brawl Championship Win went down in a battle between Randy himself and Marcus Luttrell (Former Navy Seal and subject of the movie Lone Survivor) at Xtreme Couture on Thursday afternoon. 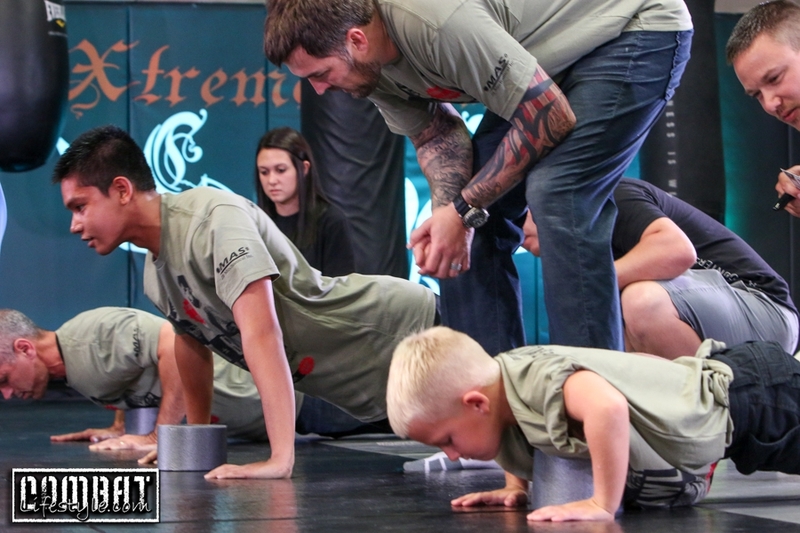 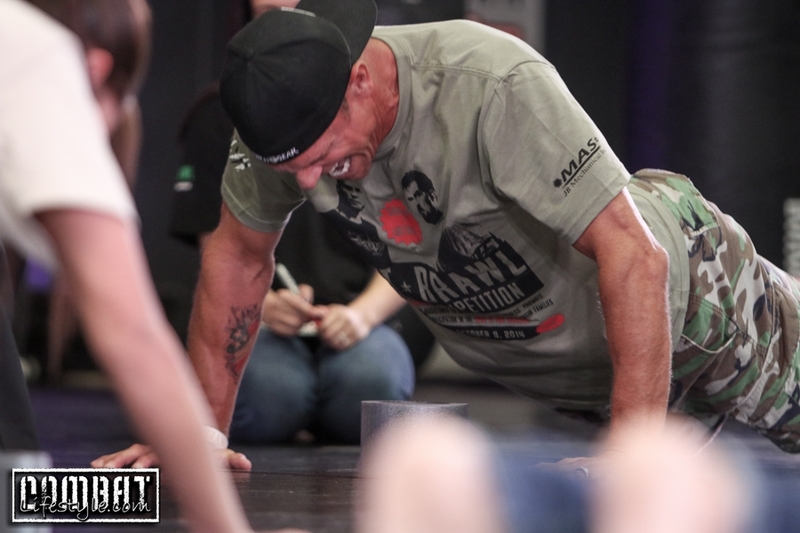 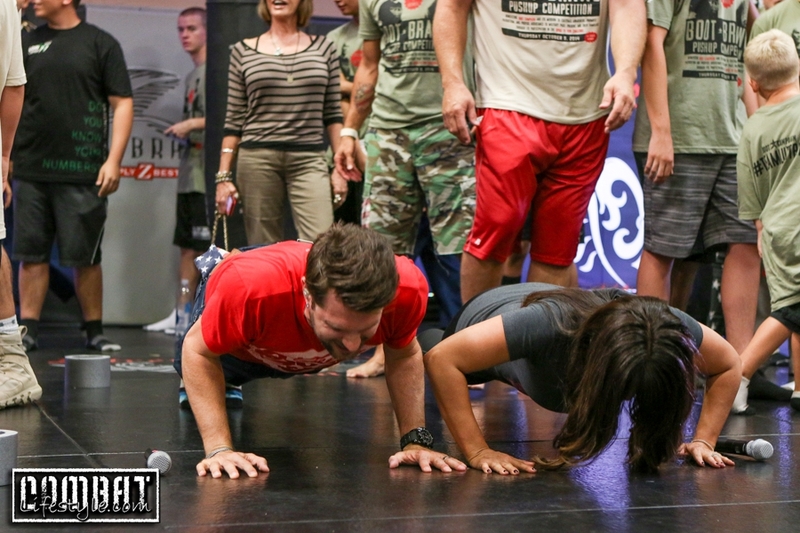 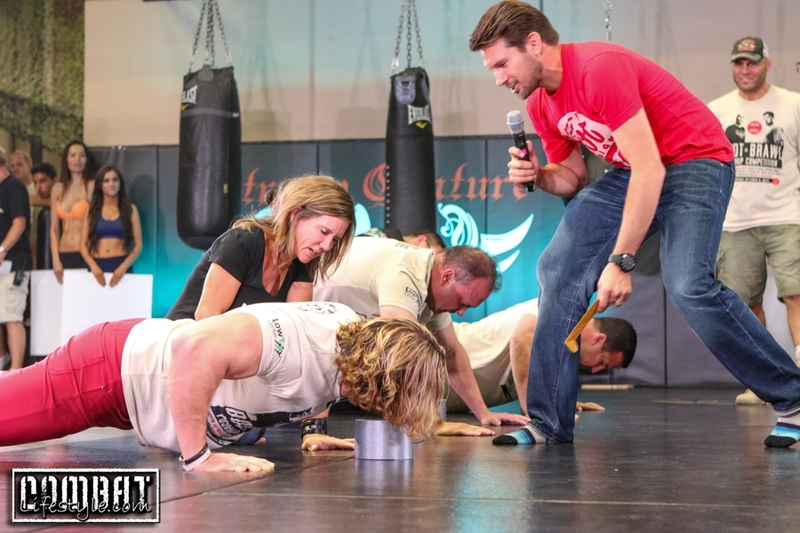 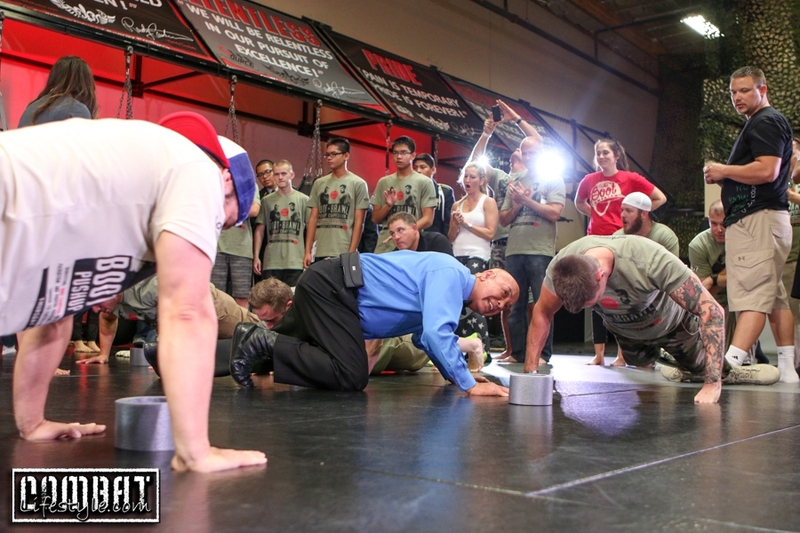 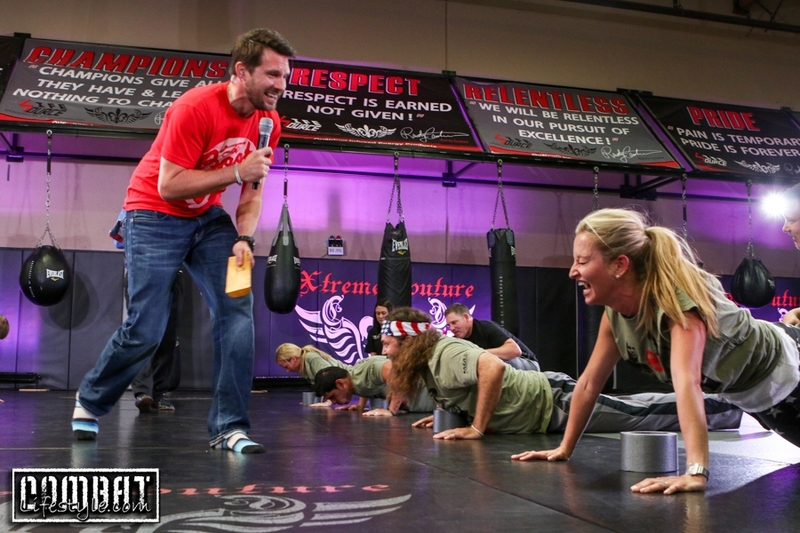 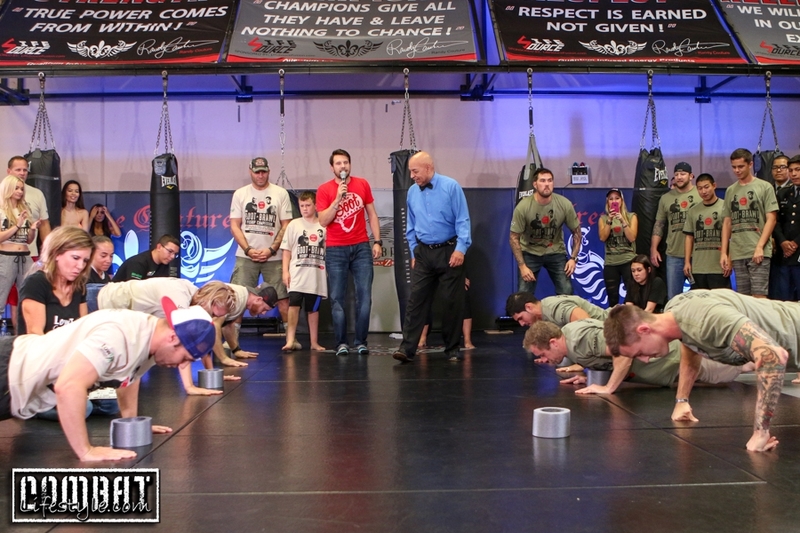 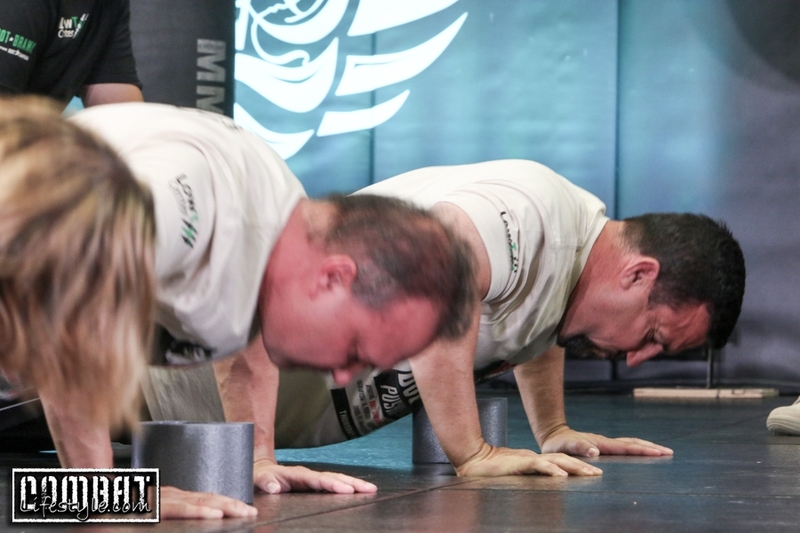 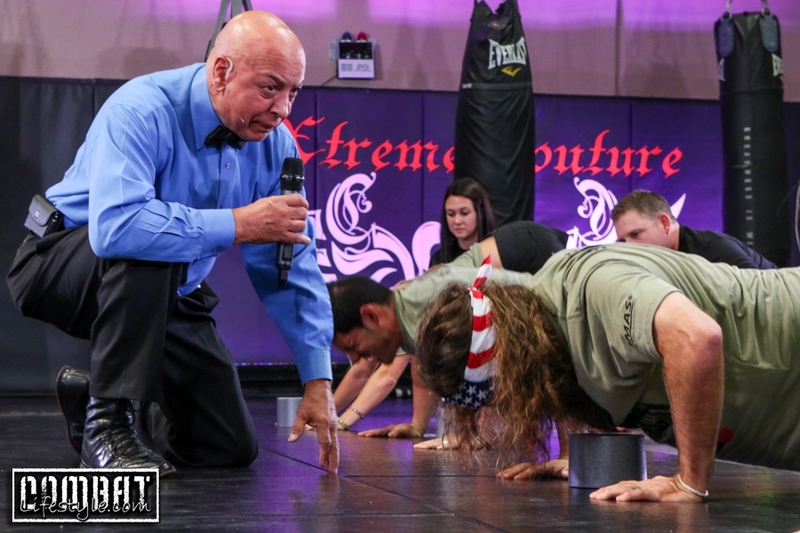 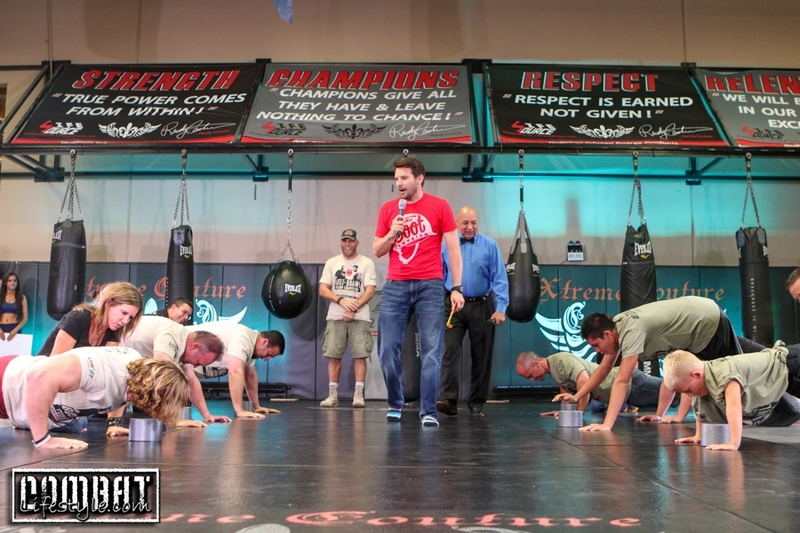 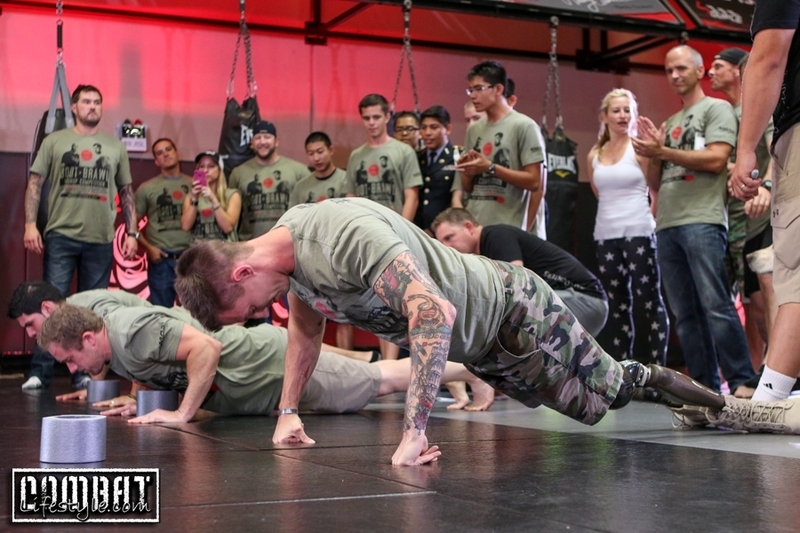 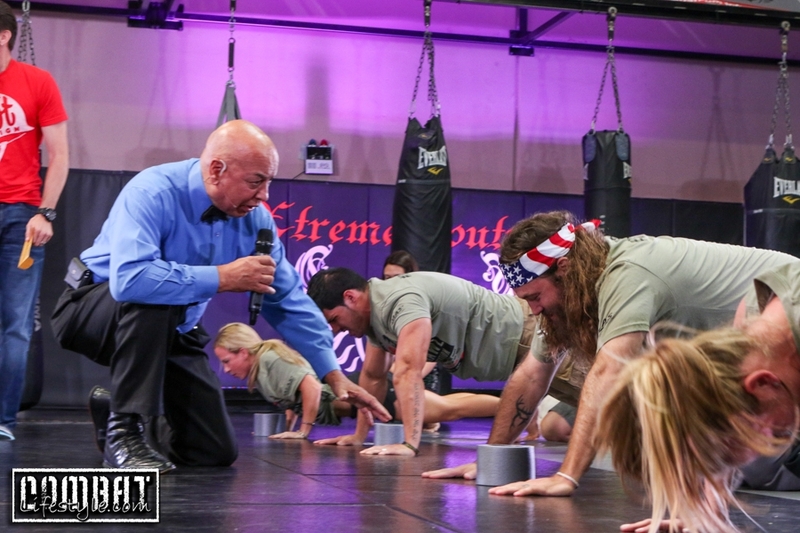 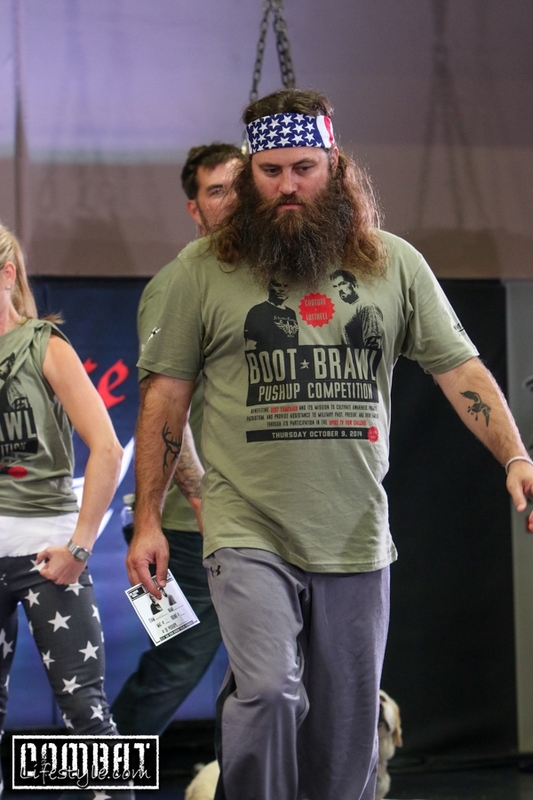 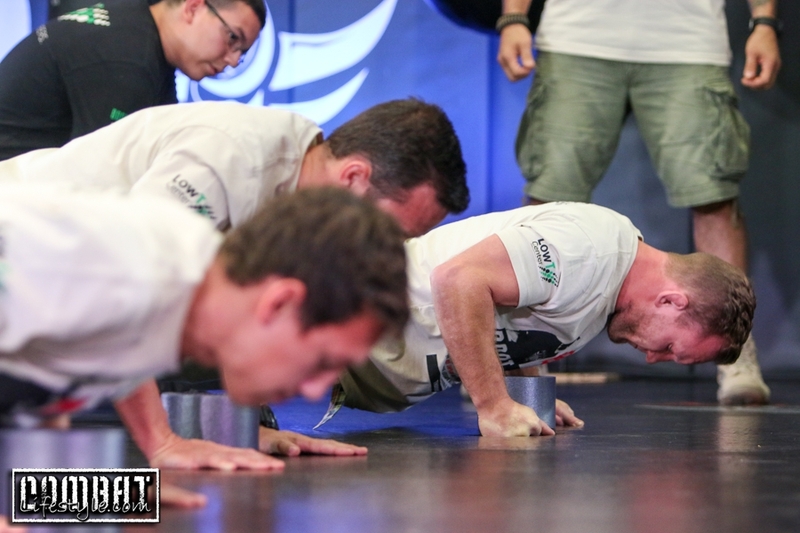 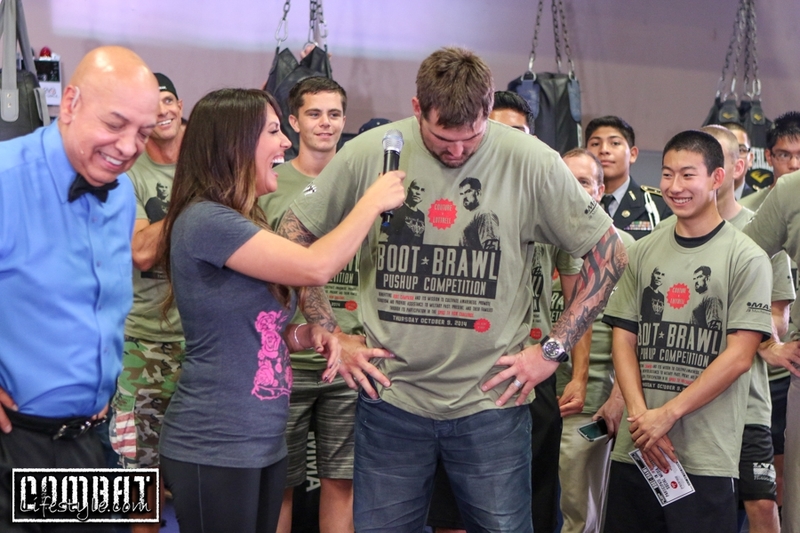 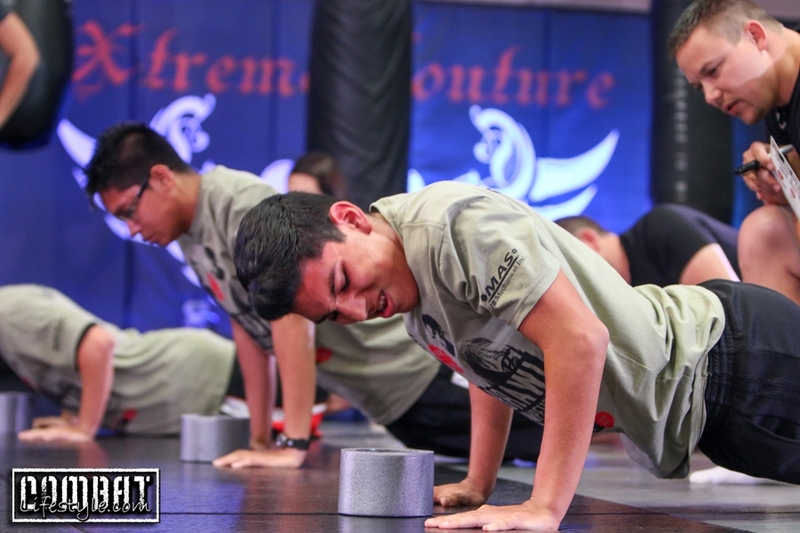 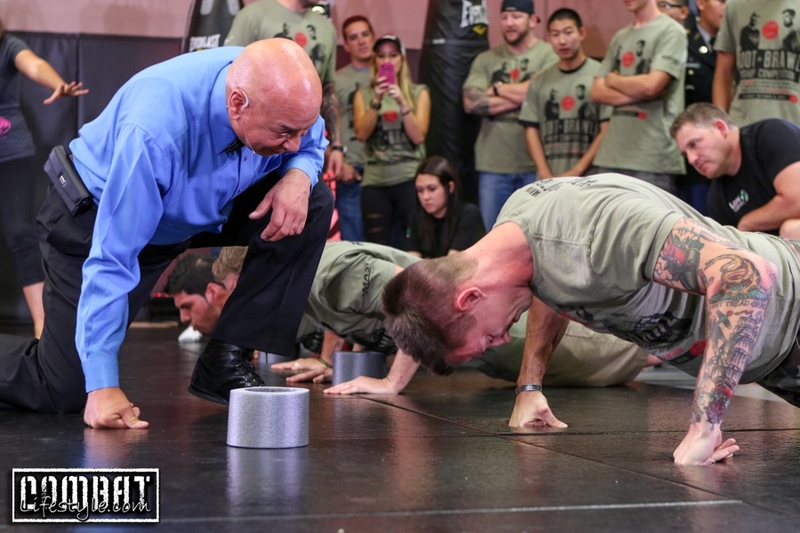 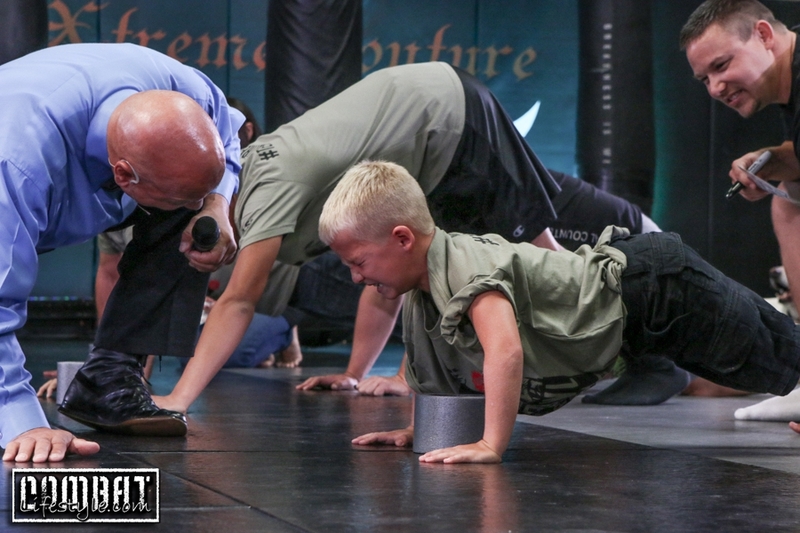 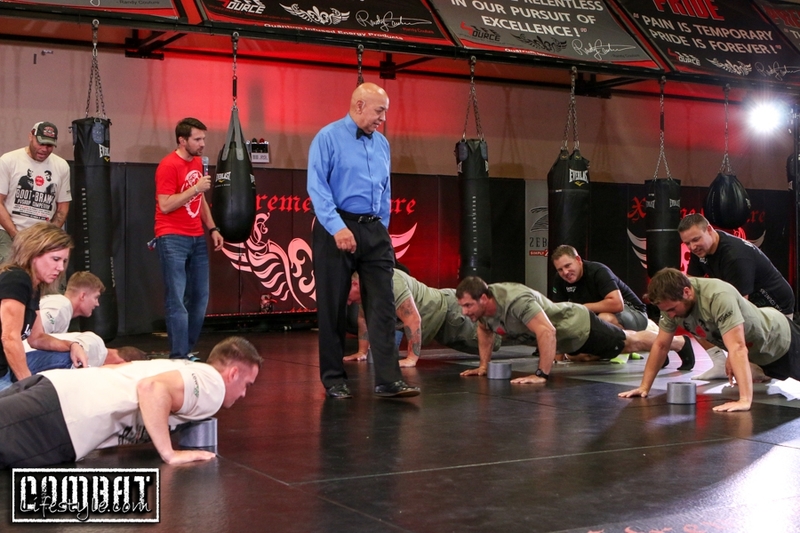 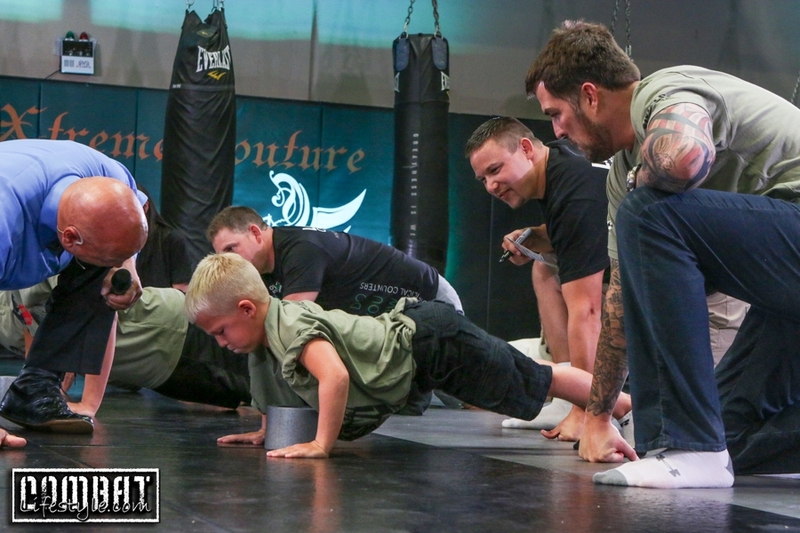 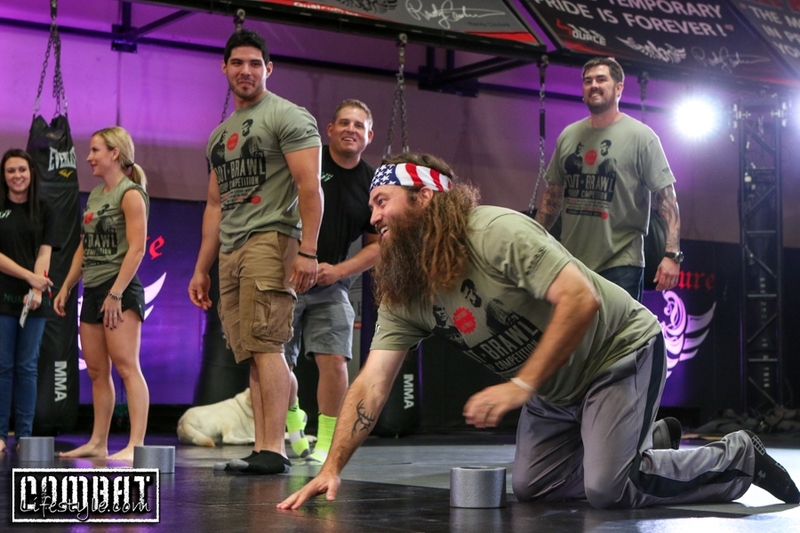 The two each had teams of men and women, friends, fighters, reality show stars and military alike, in a heavyweight pushup bout! 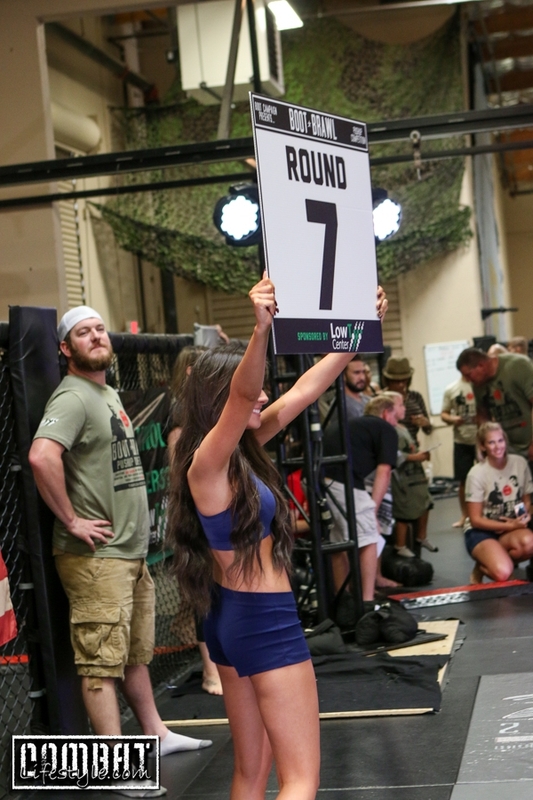 Each round had one winner, and one loser and after 10 rounds if there was a tie, the final score would go to the 11th round, the fan round where fans had been uploading their pushup videos to the Boot Brawl facebook page all week. 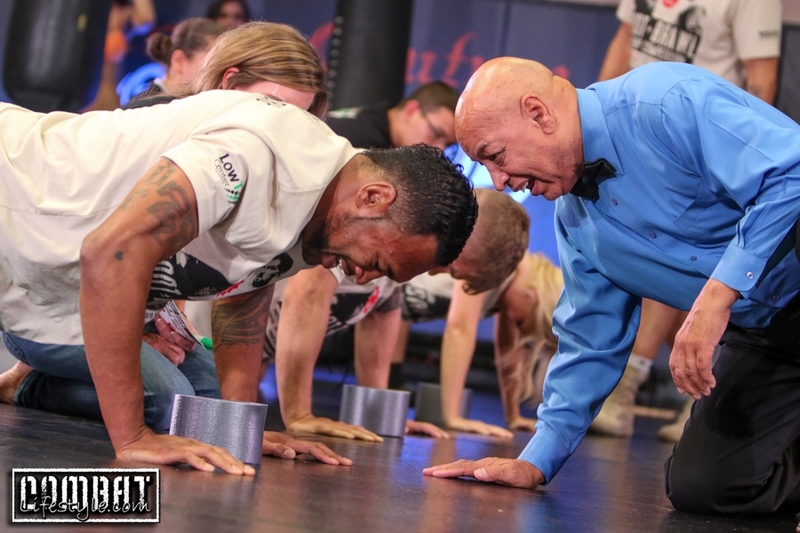 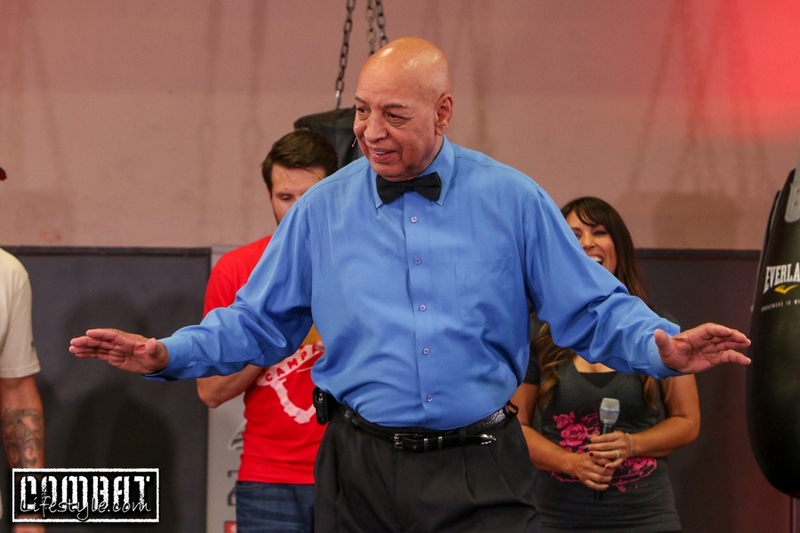 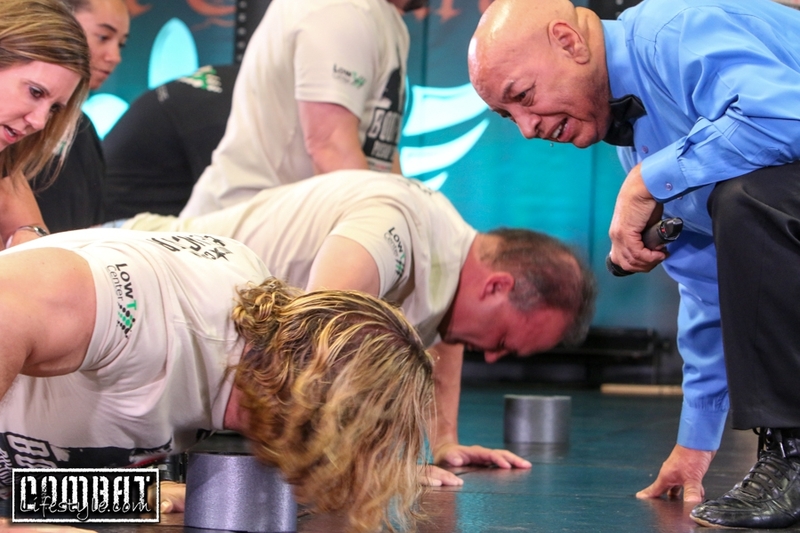 The officiating ref was none other than, Joe Cortez and you can see he was in this supporting each of the pushupers throughout! 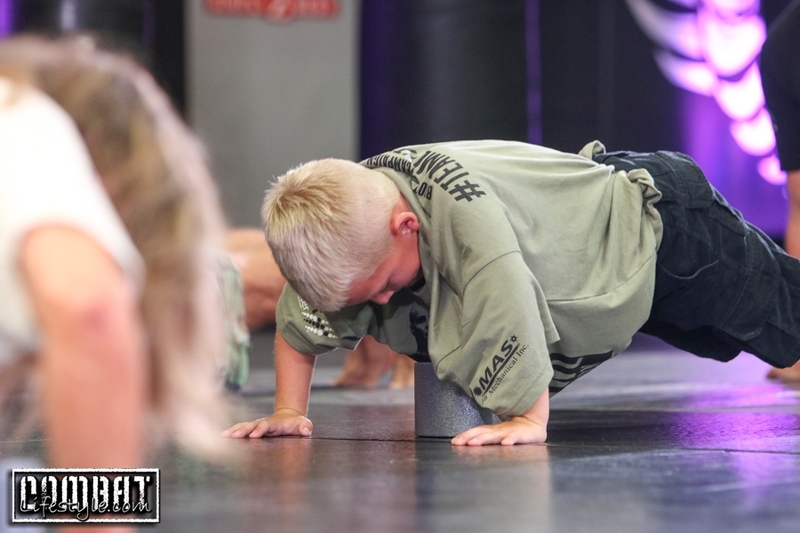 “I’m Firm but Fair!” Even little Tanner got involved choosing to pushup through two separate rounds! 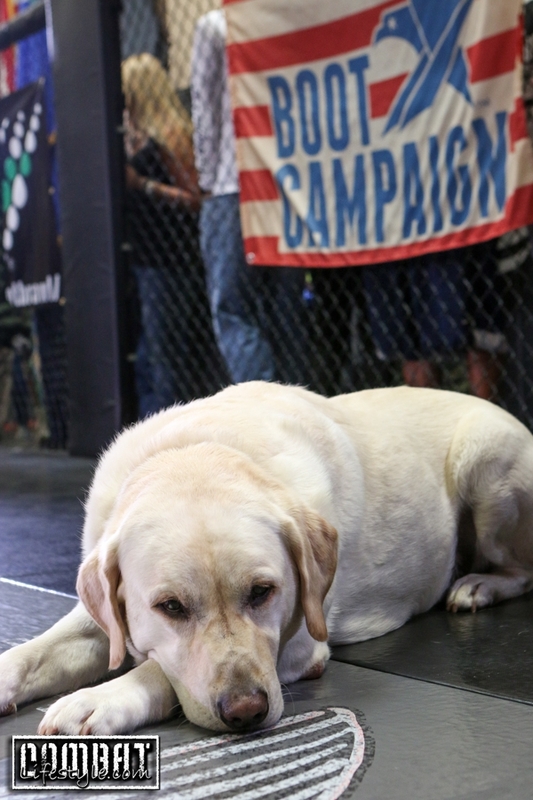 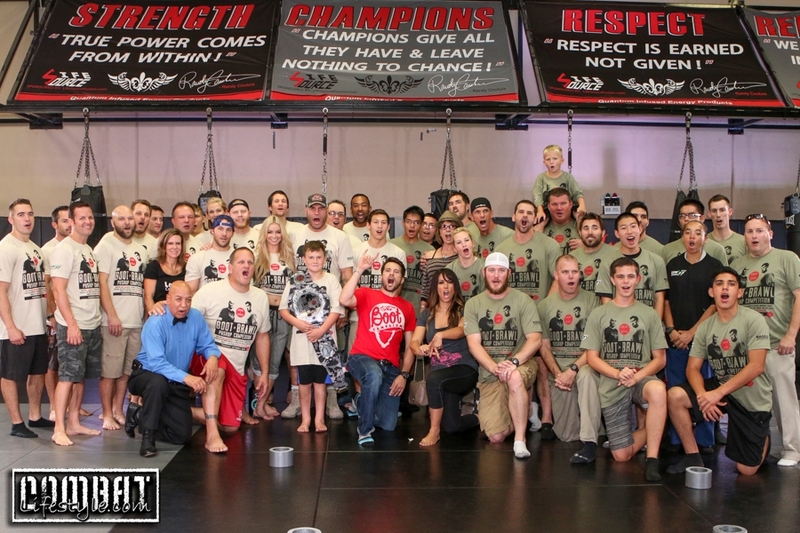 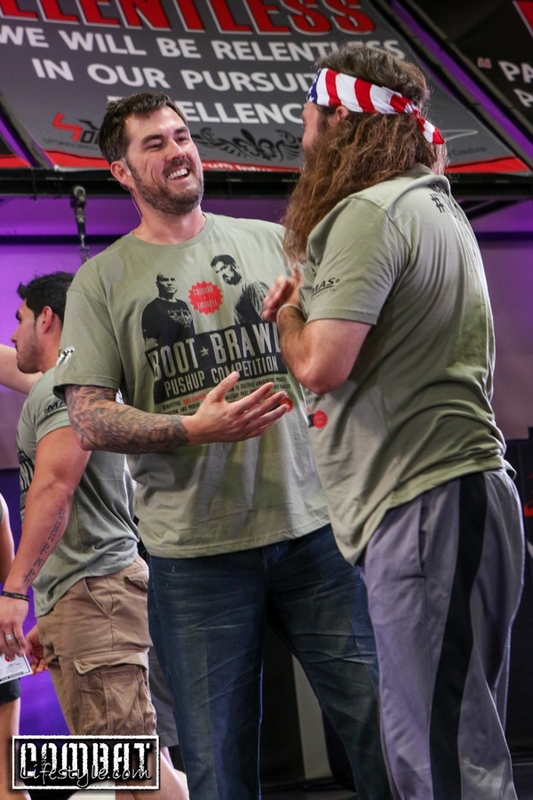 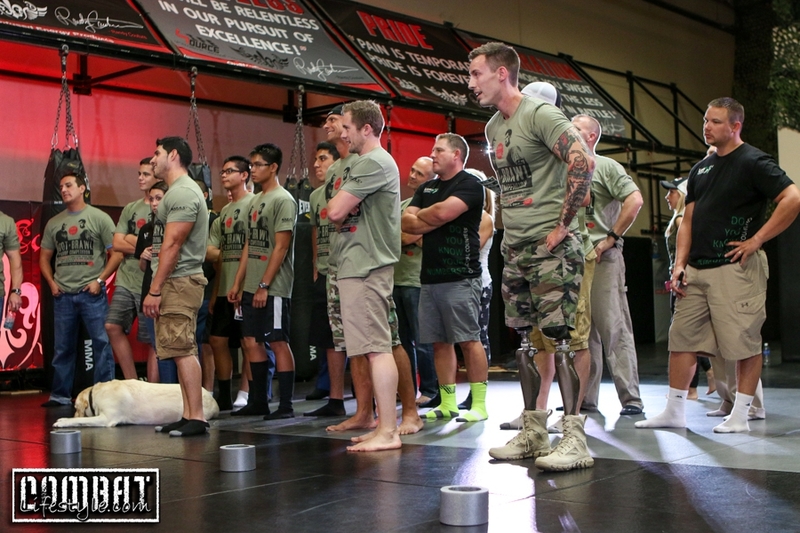 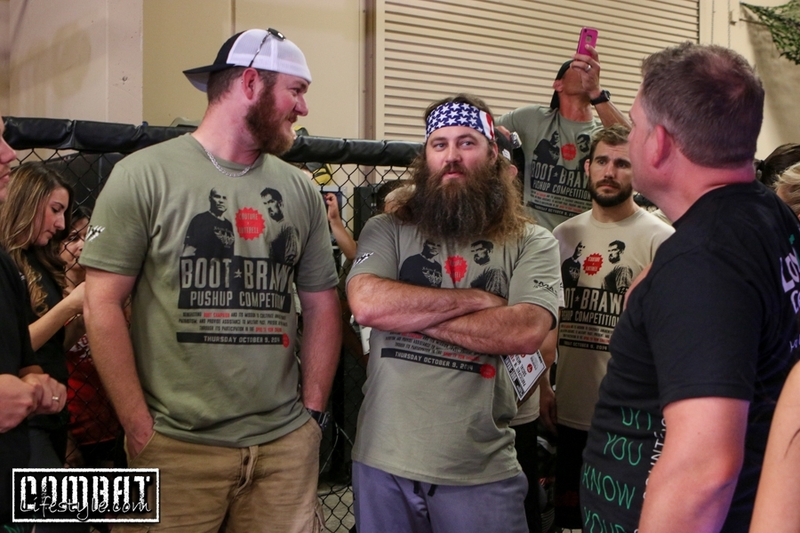 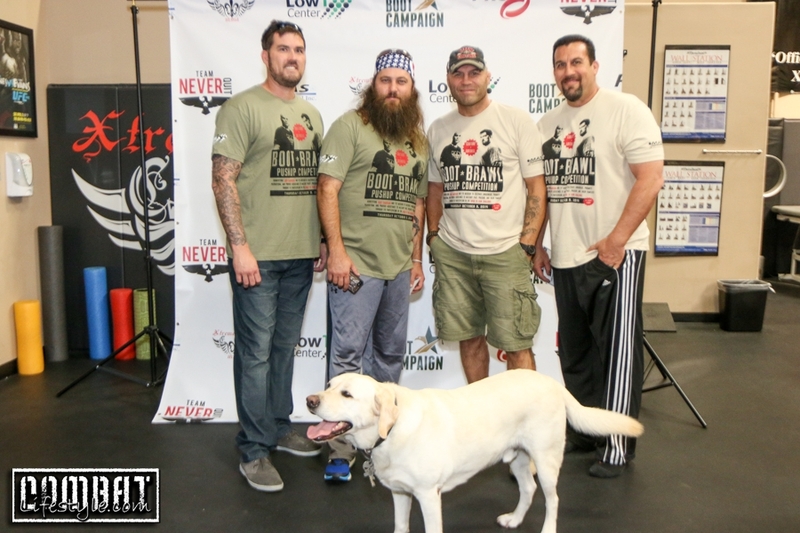 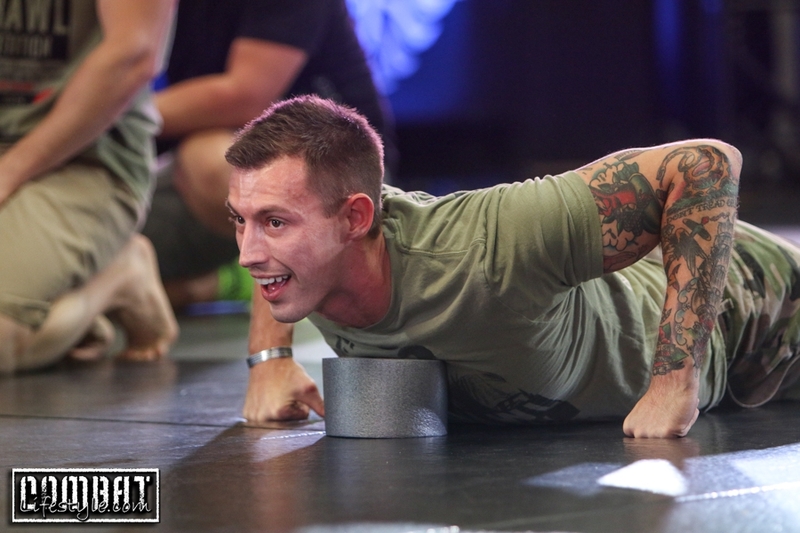 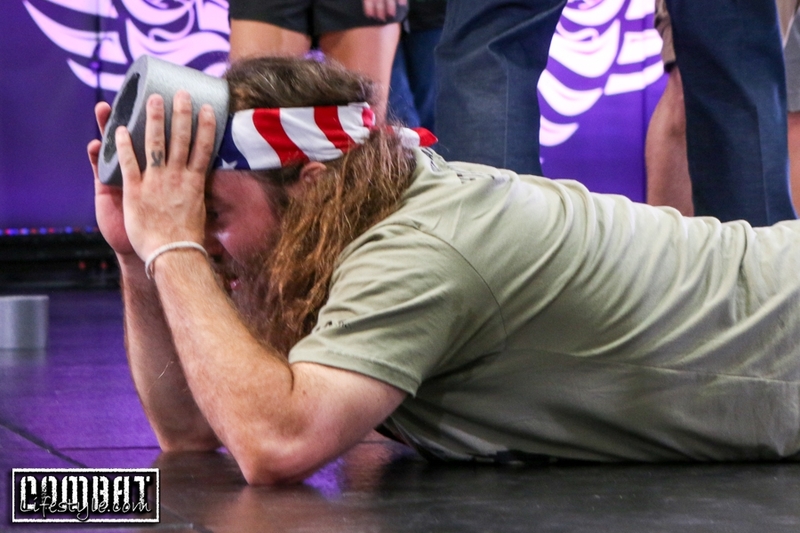 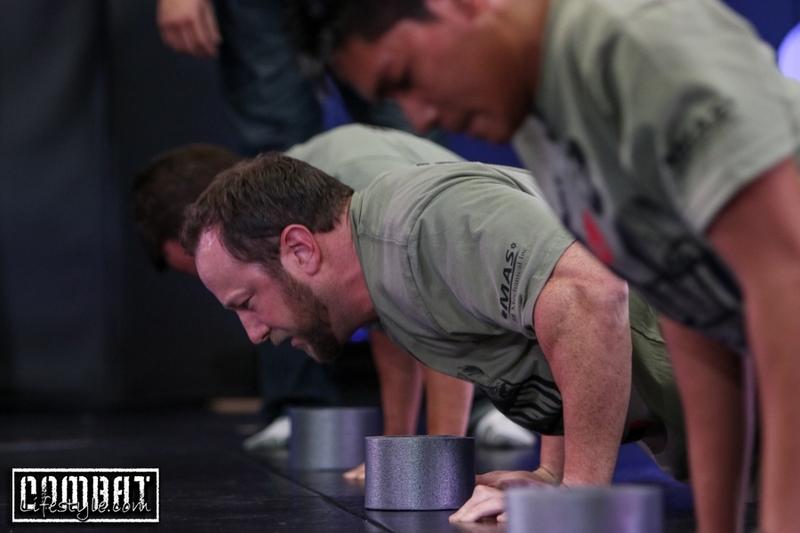 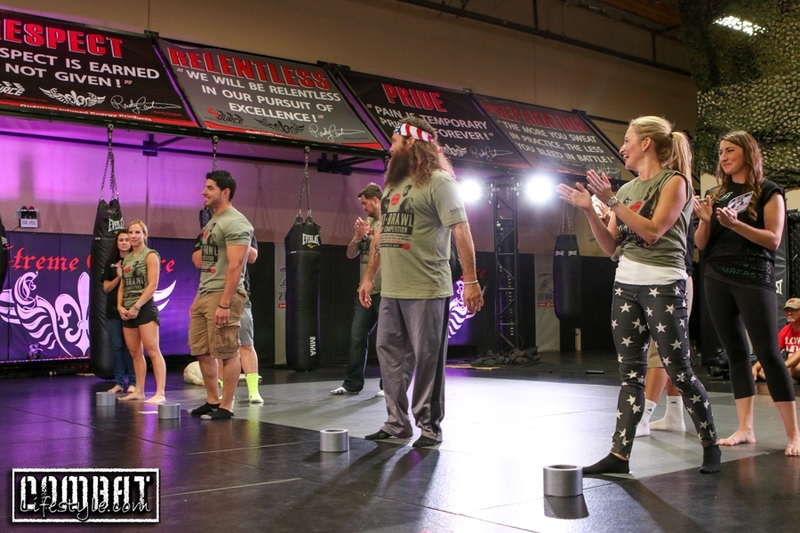 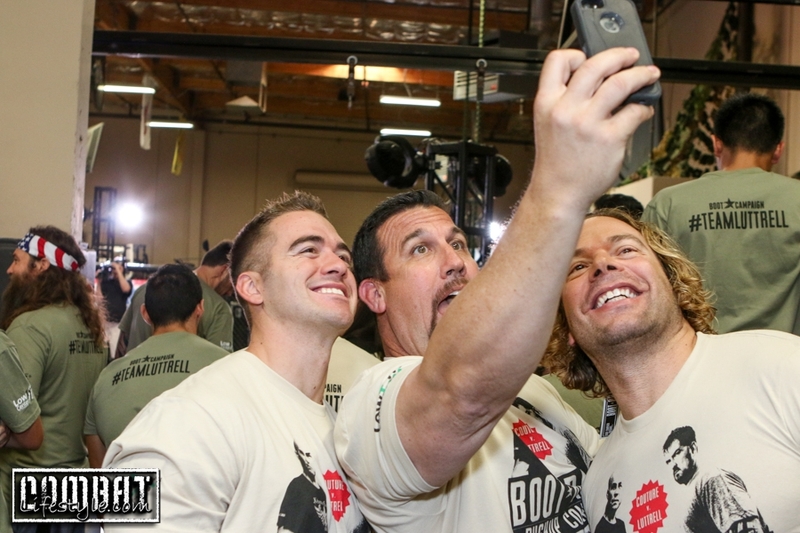 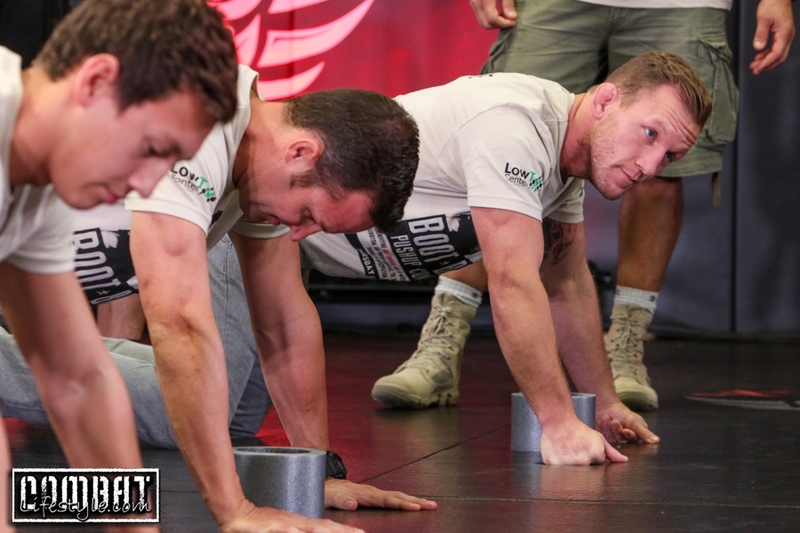 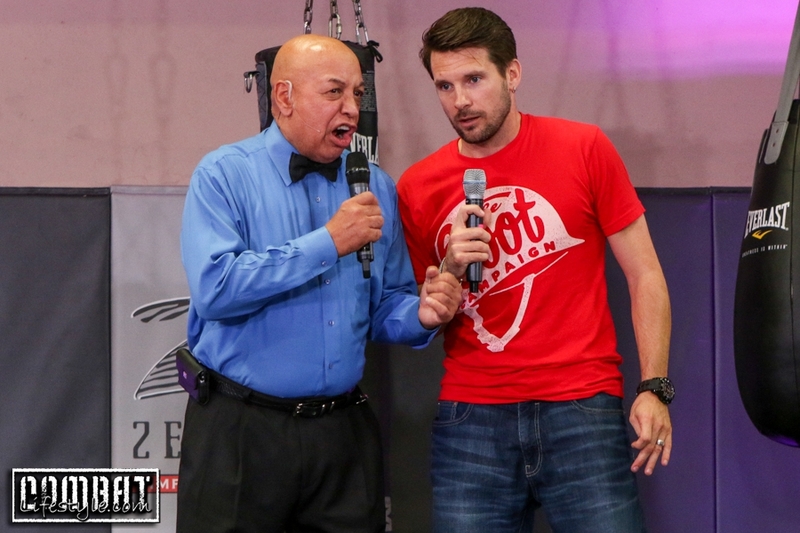 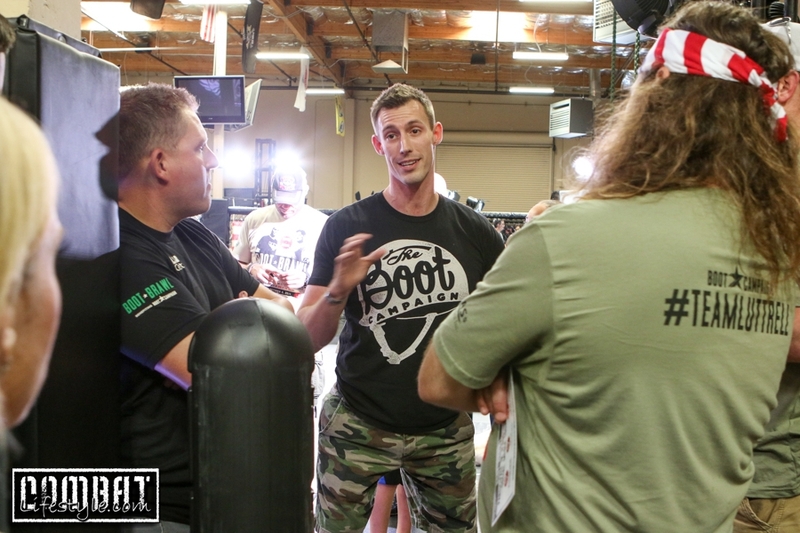 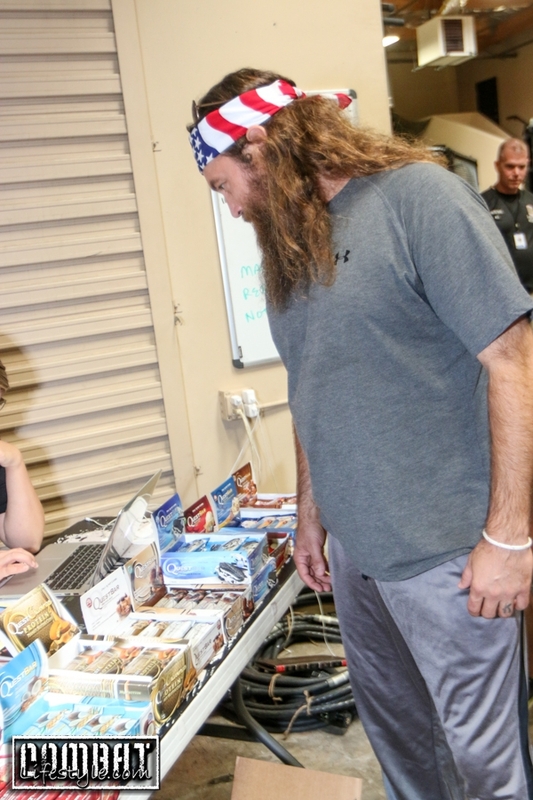 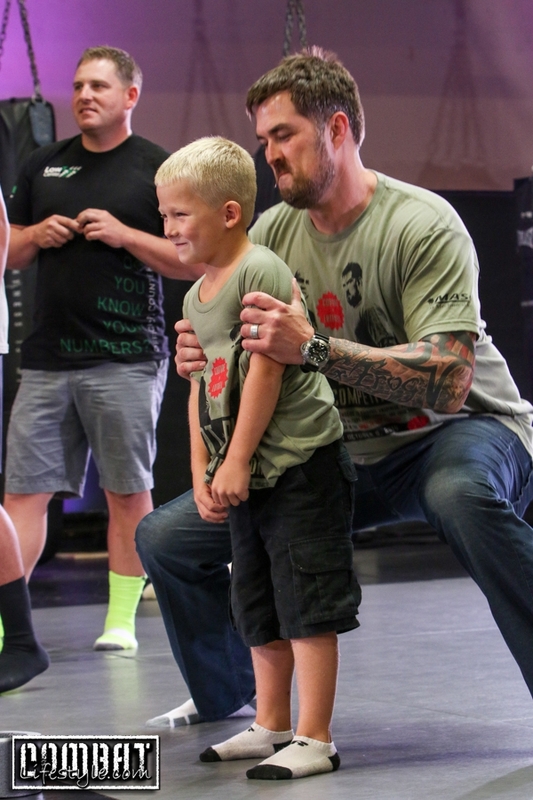 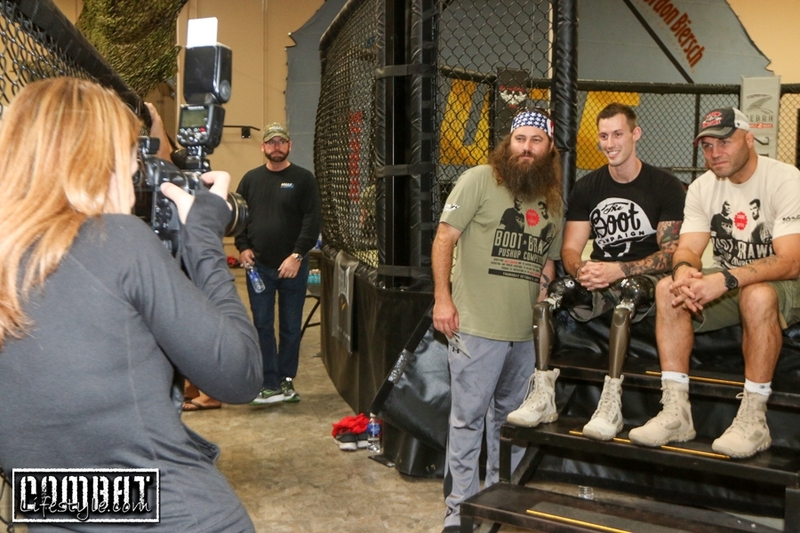 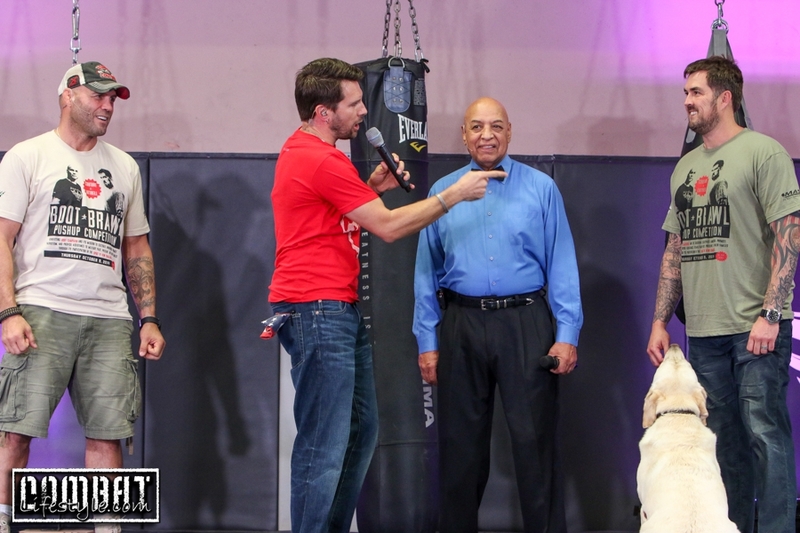 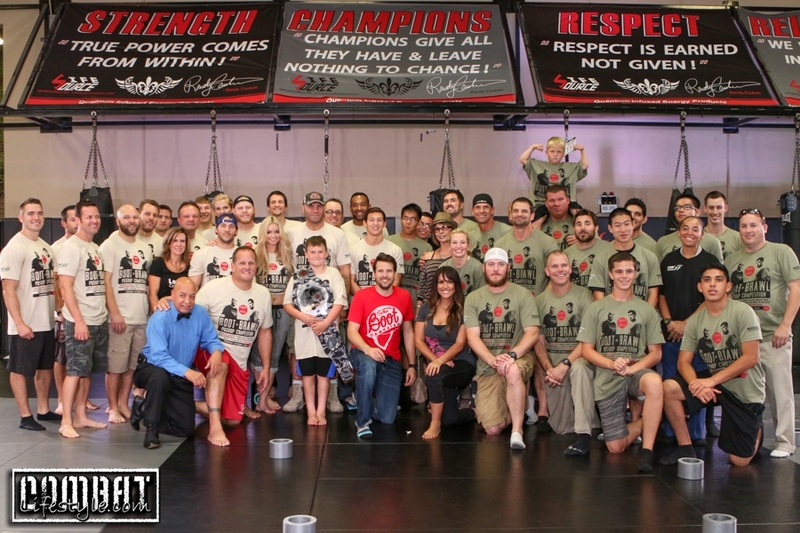 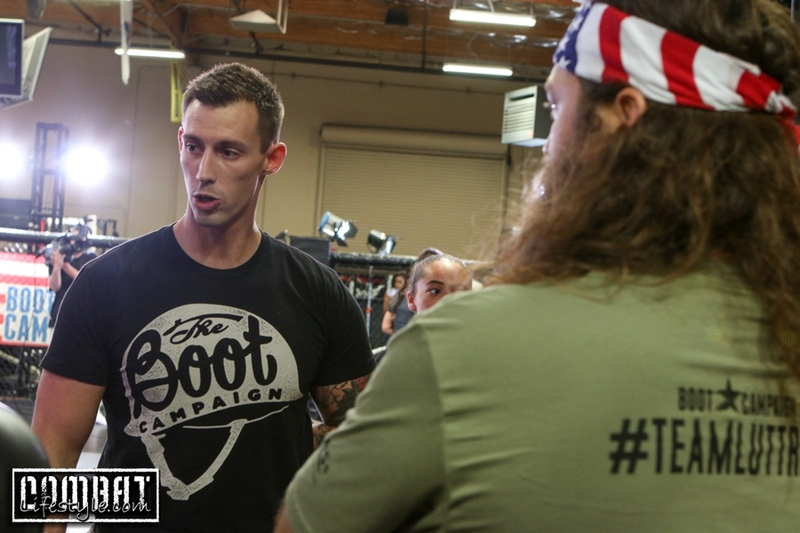 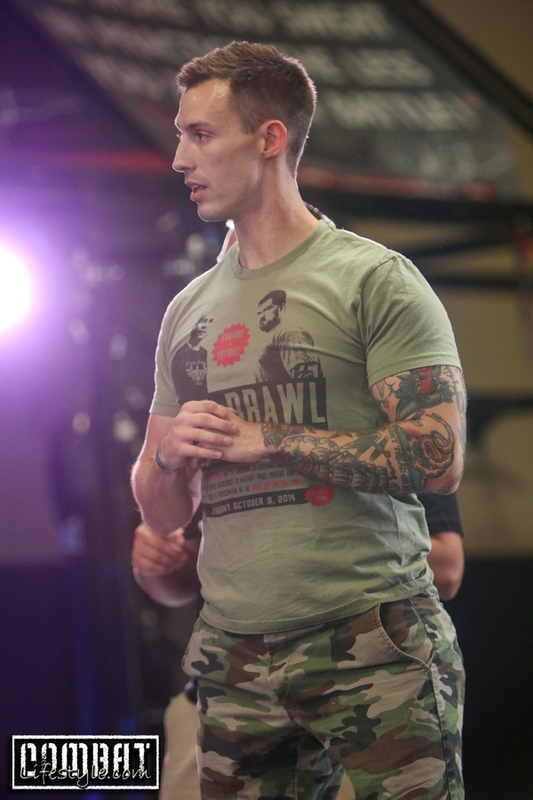 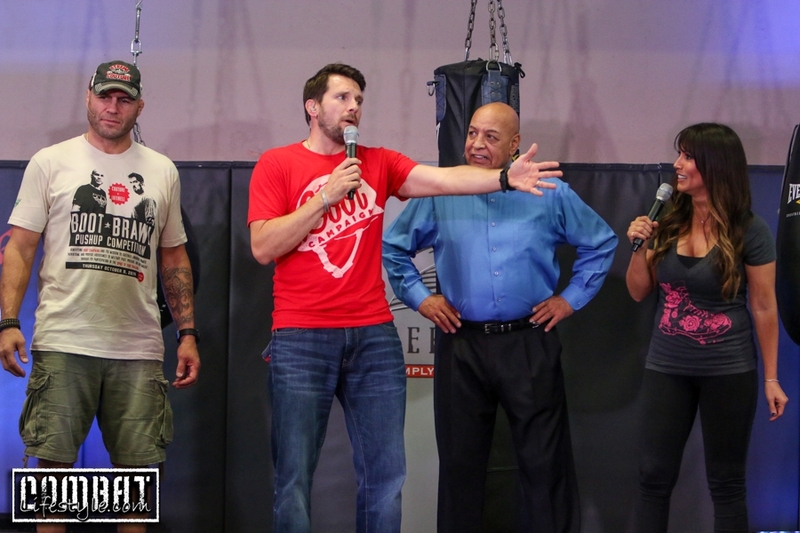 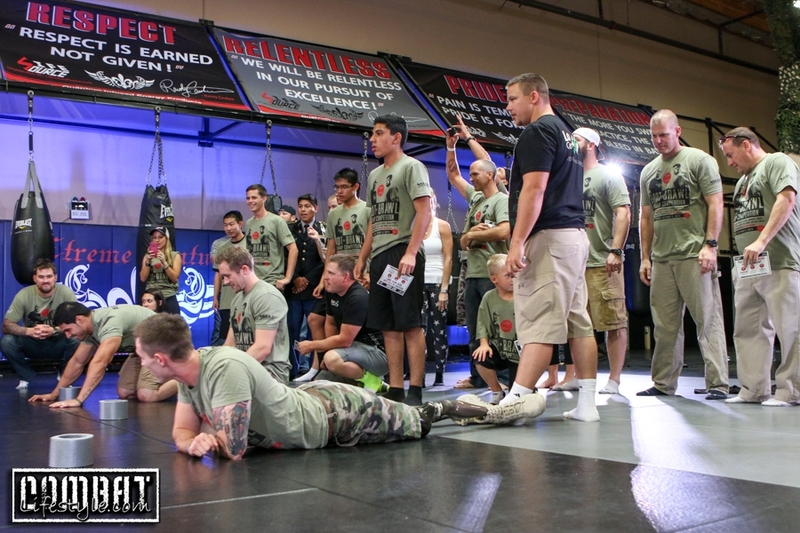 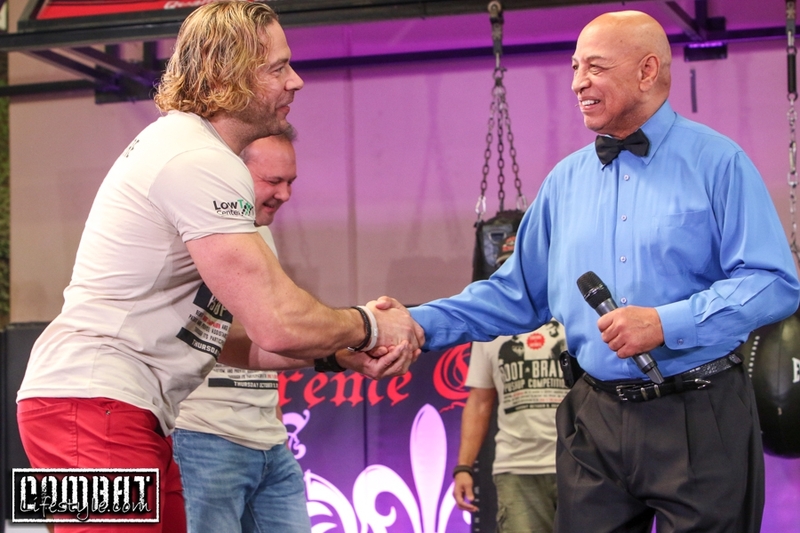 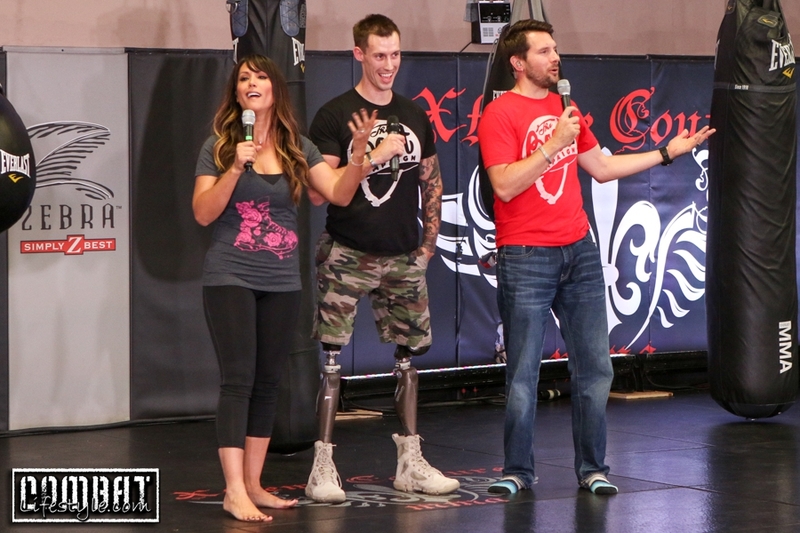 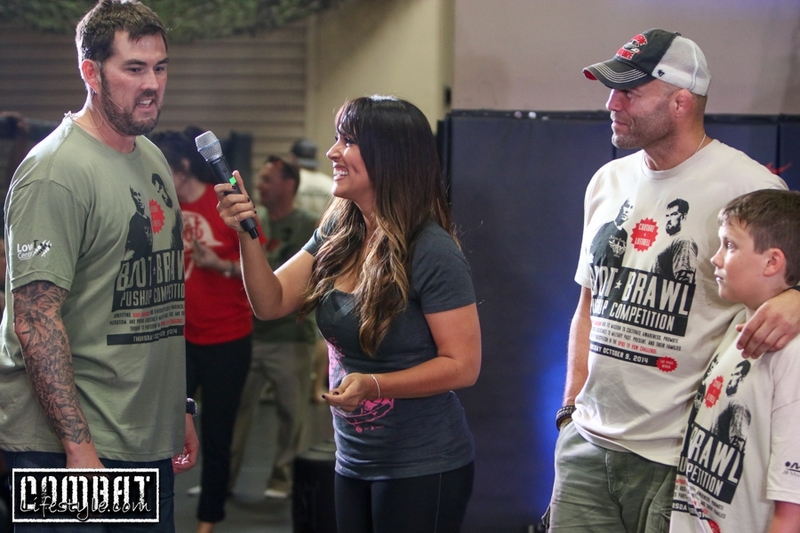 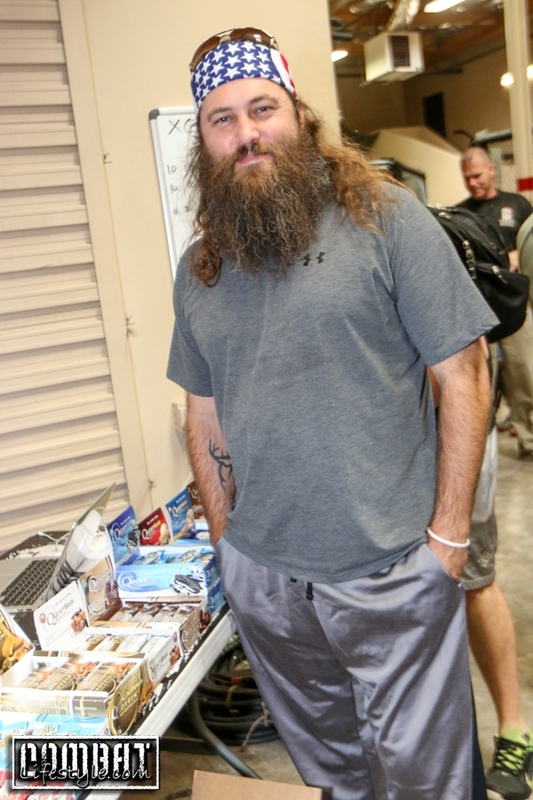 This entire event was a part of Spike TV’s Veteran’s Wellness Challenge where the winning charity would also receive $20,000! 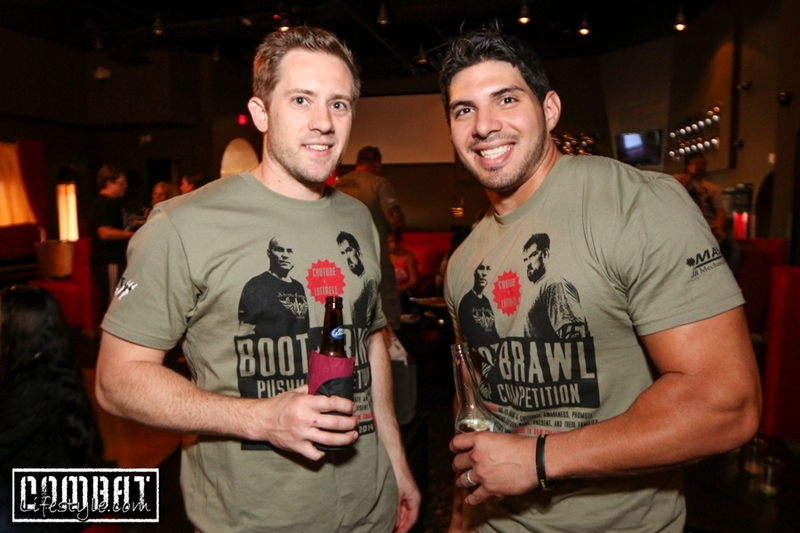 Well the Boot Campaign won with the Boot Brawl event. 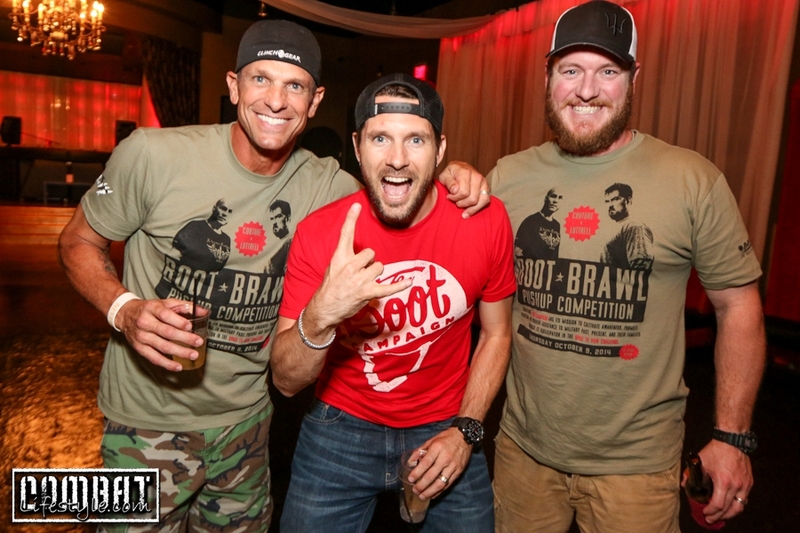 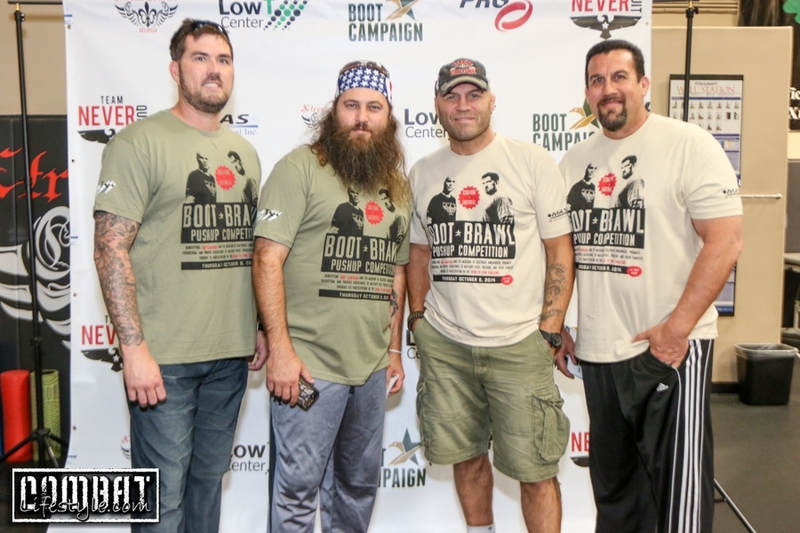 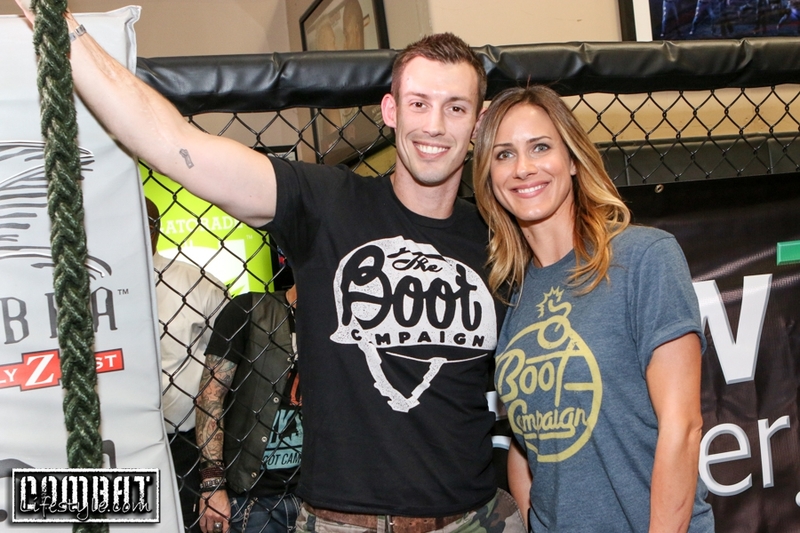 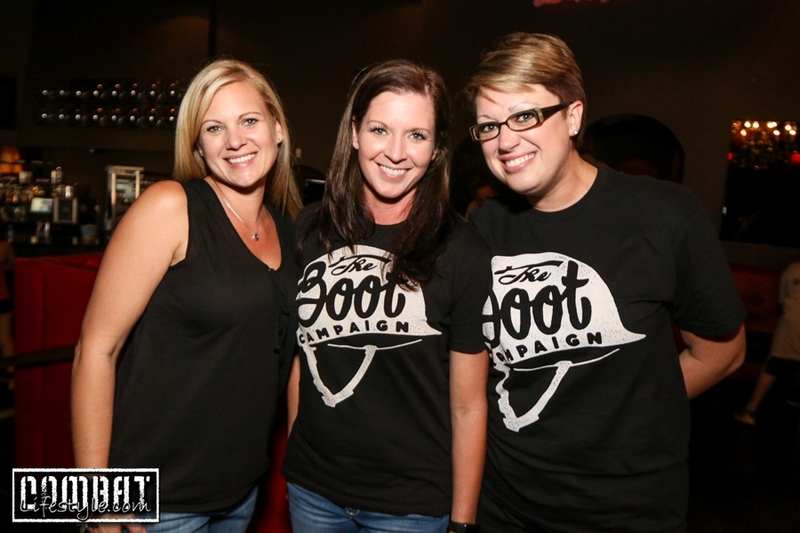 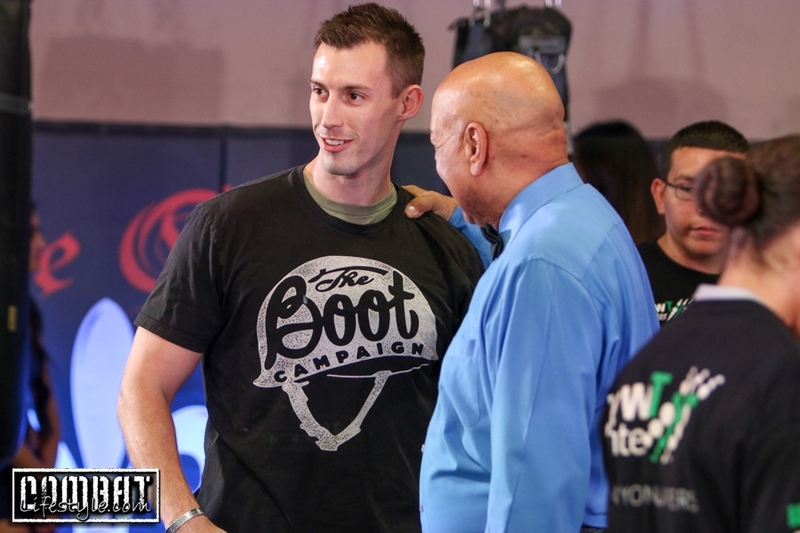 So while #TeamLuttrell may have not won the battle, the entire effort won the Boot Campaign the war! 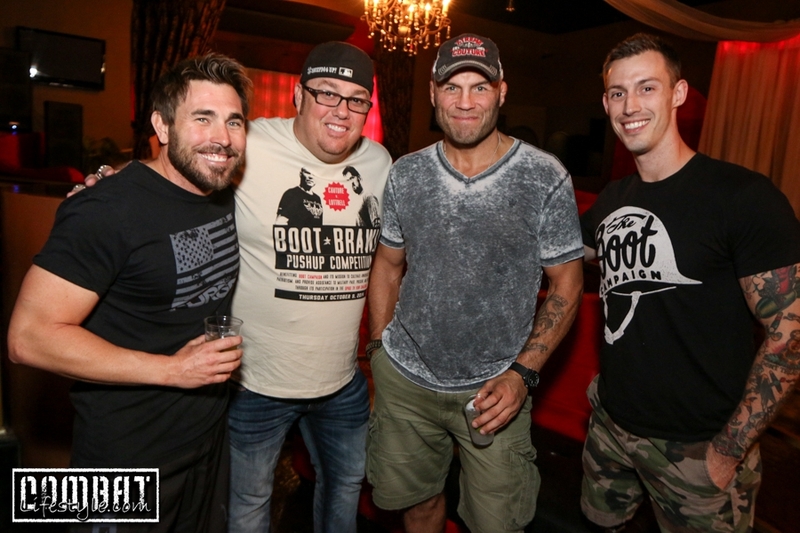 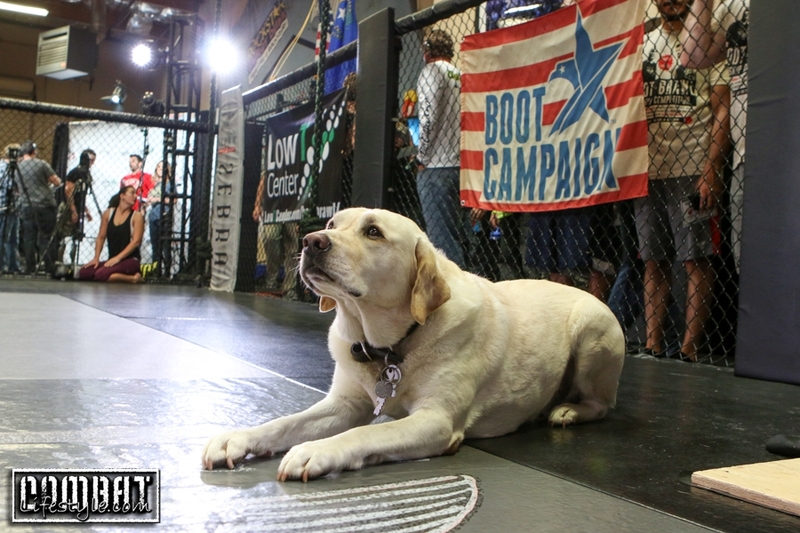 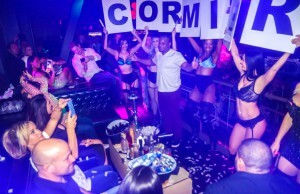 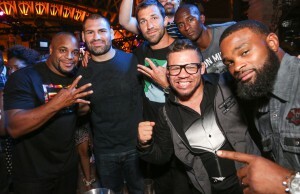 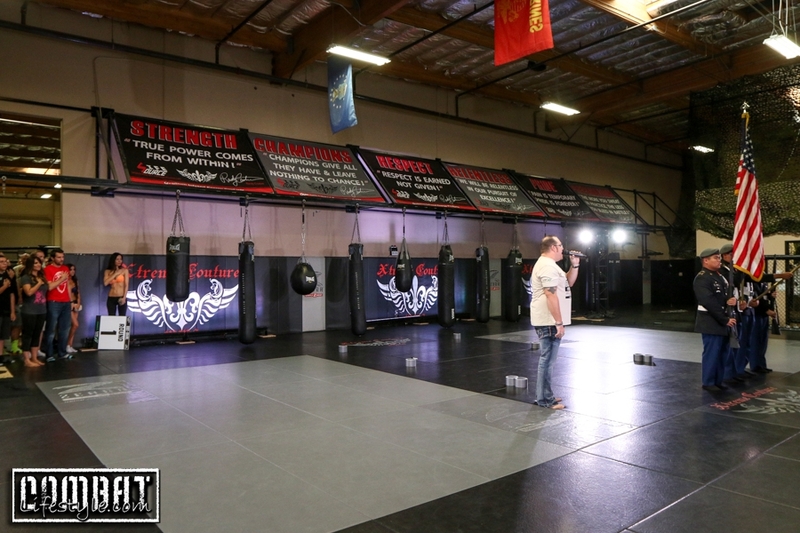 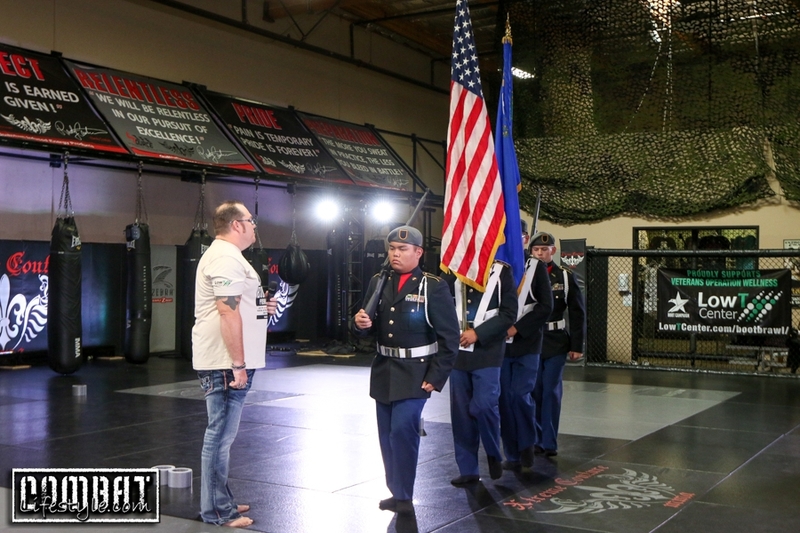 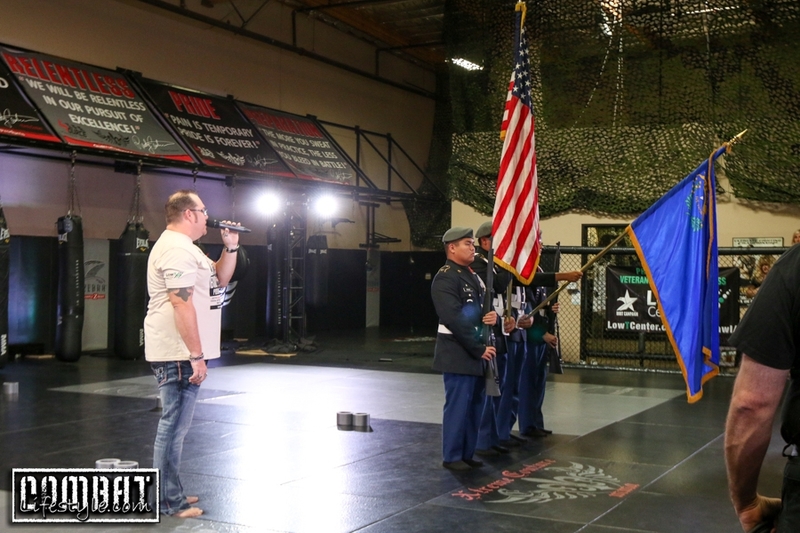 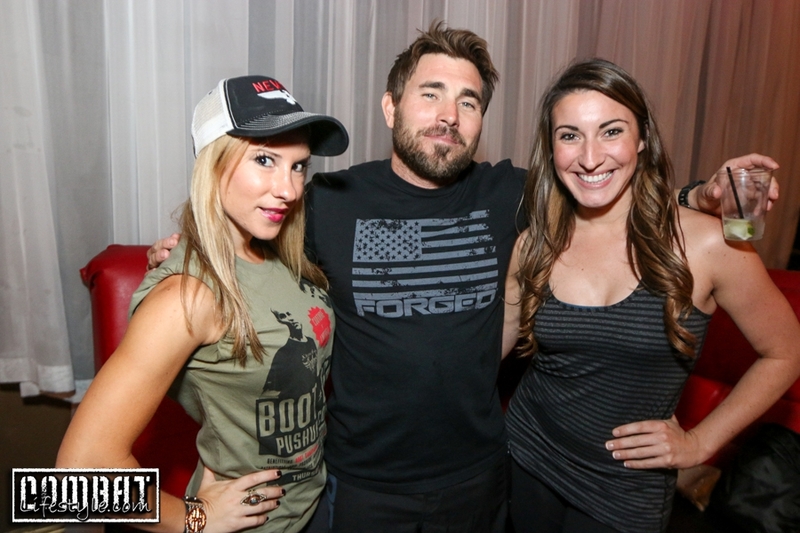 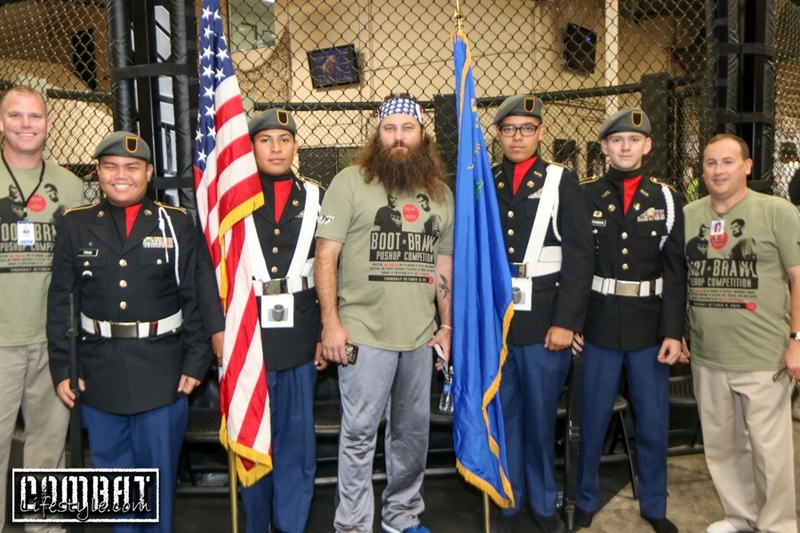 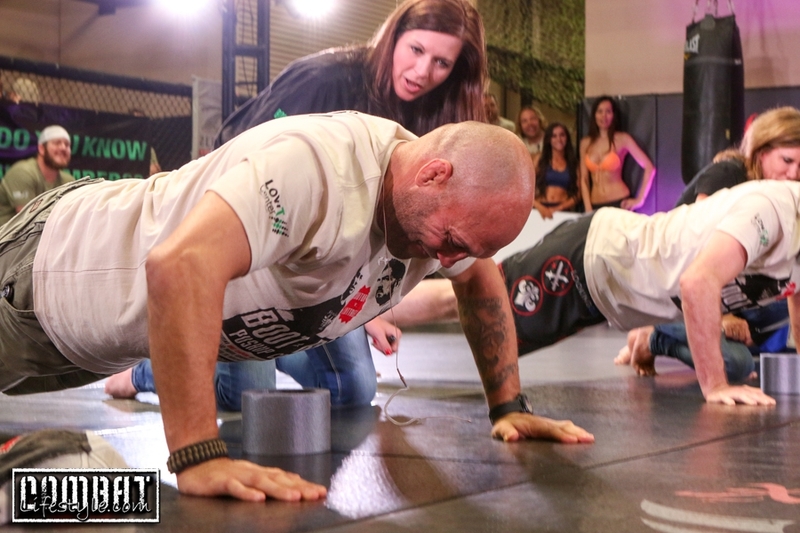 Xtreme Couture GI Foundation Ride for Our Troops Randy Couture Hosts Body English Ride for the Troops Afterparty UFC Fan Expo Day 2 and what went down! 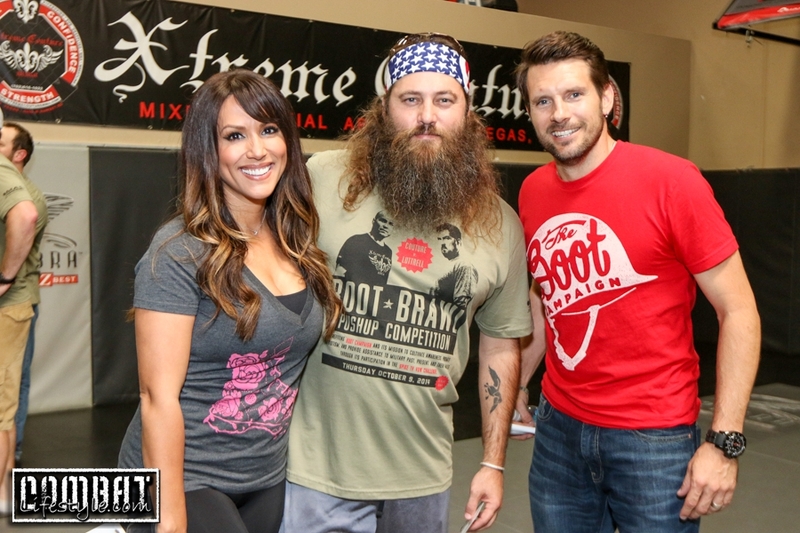 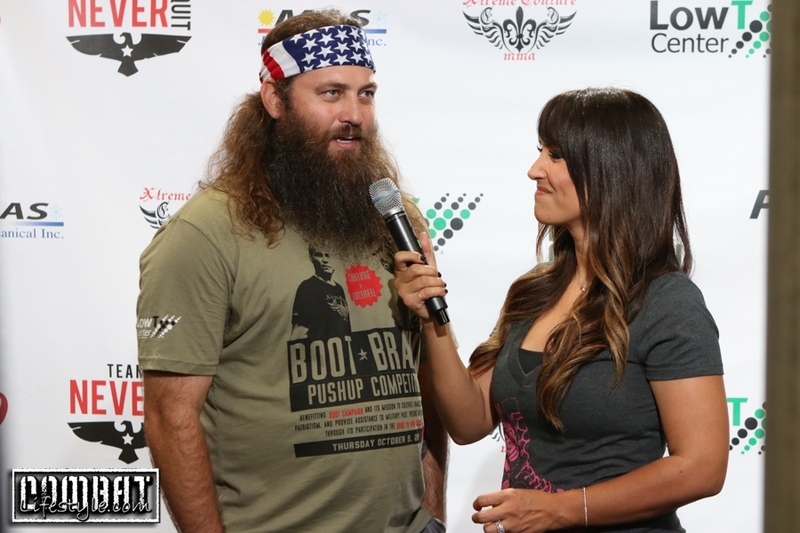 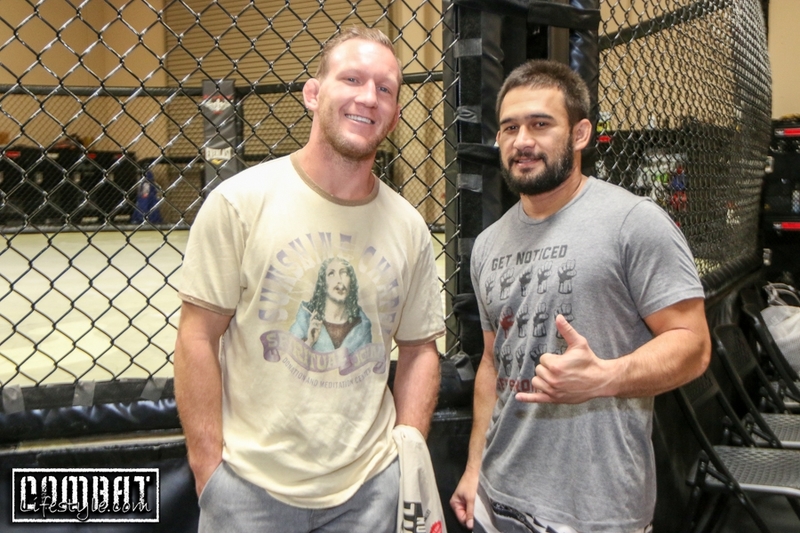 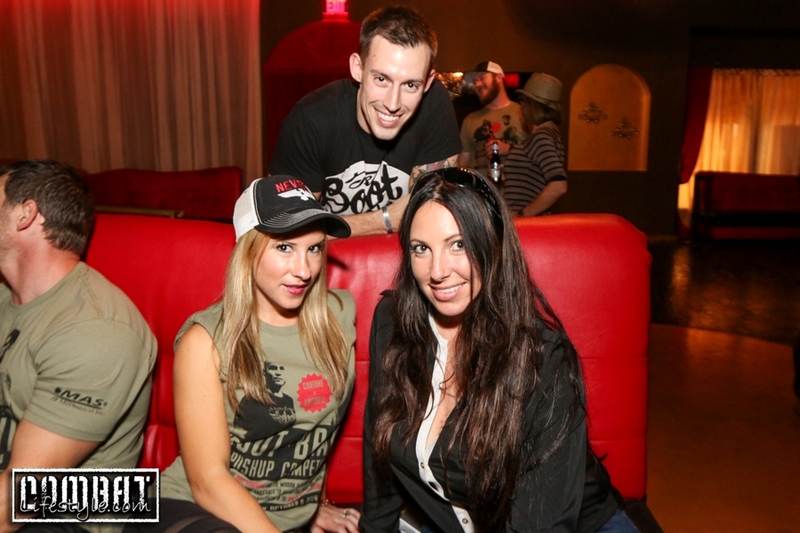 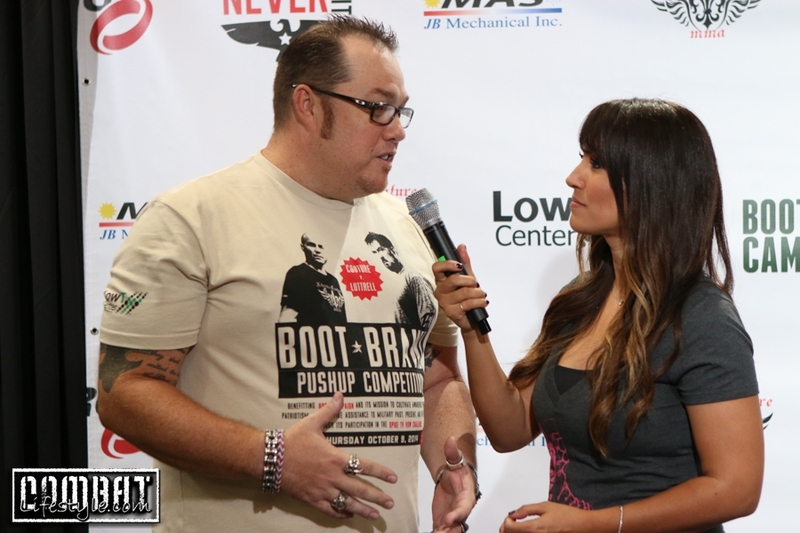 UFC Fan Expo 2014 Pics Day 1!